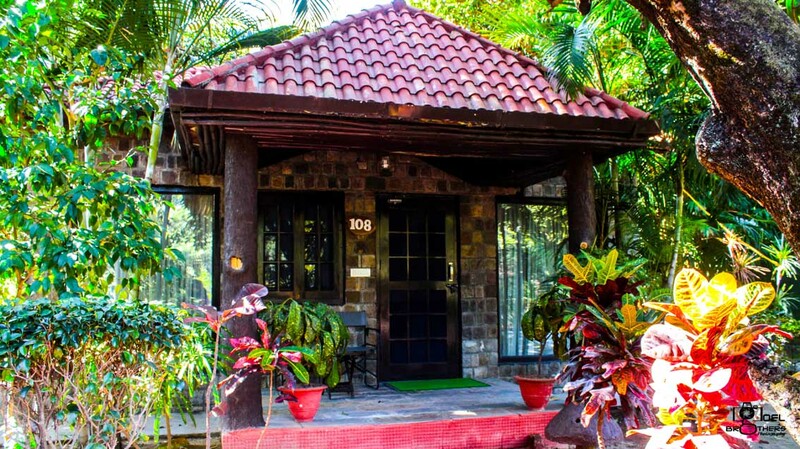 What makes us different from others is our architecture inspired by old world charm that compliments the contemporary design. 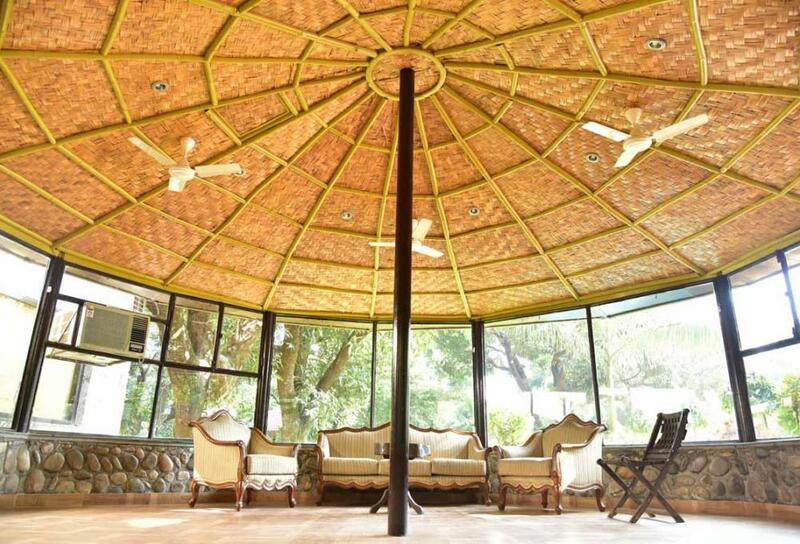 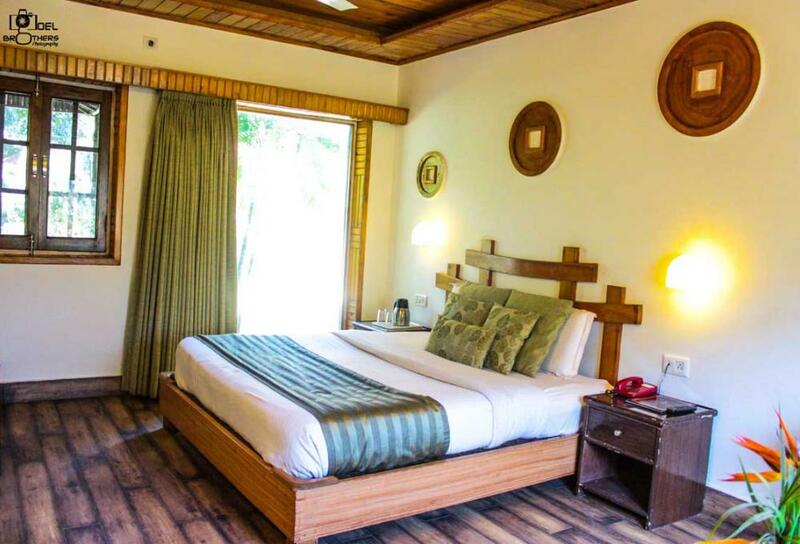 Spread across the massive 2.5 acres of green area in Jim Corbett, Leela Resort offers lodging experience in the form of cottages, Suite Villas, and luxury rooms. 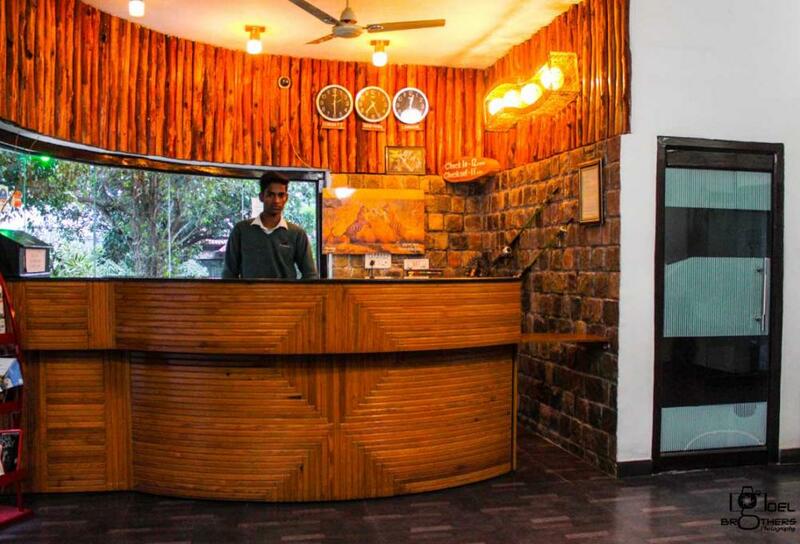 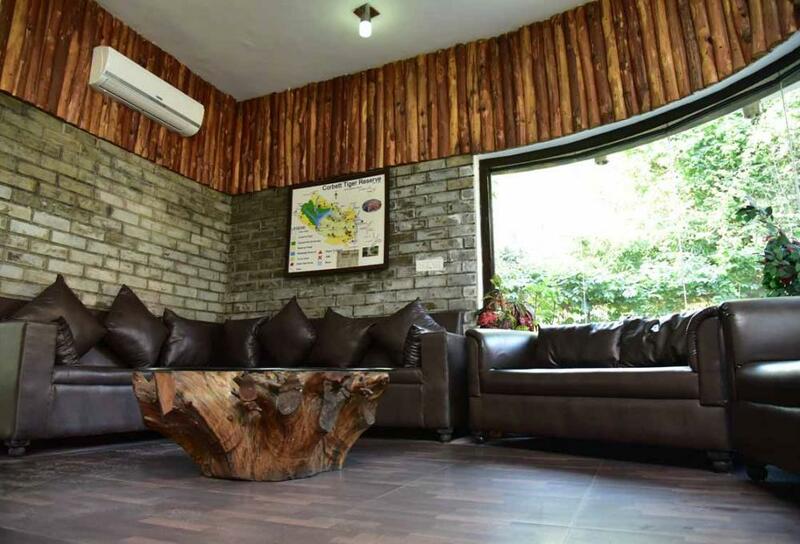 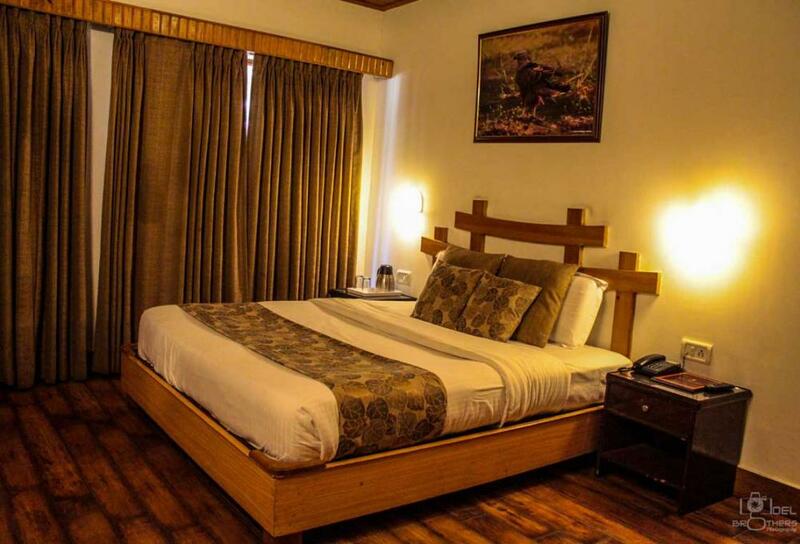 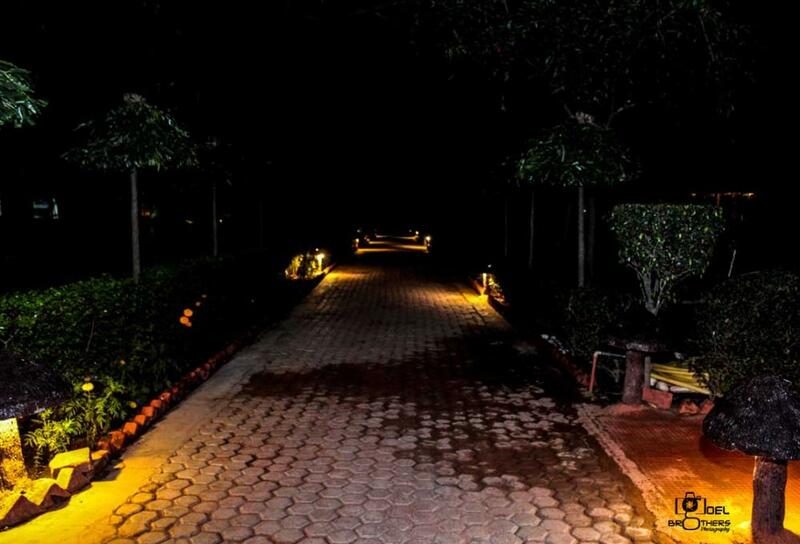 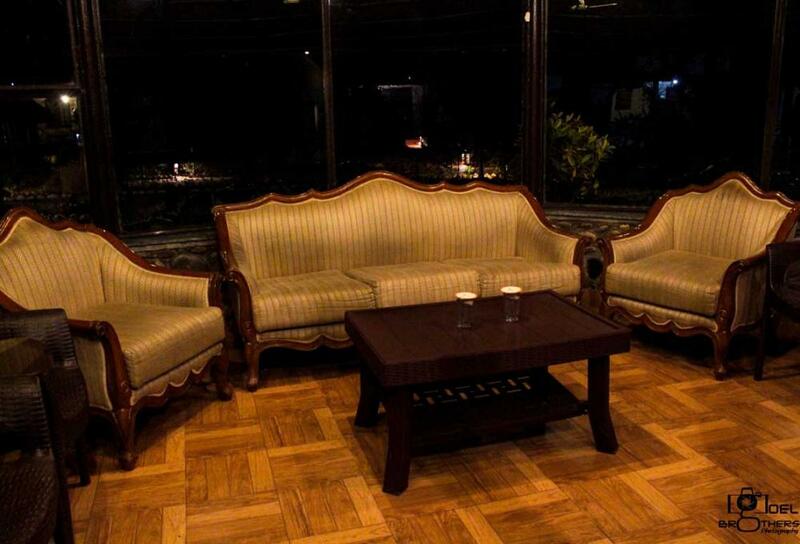 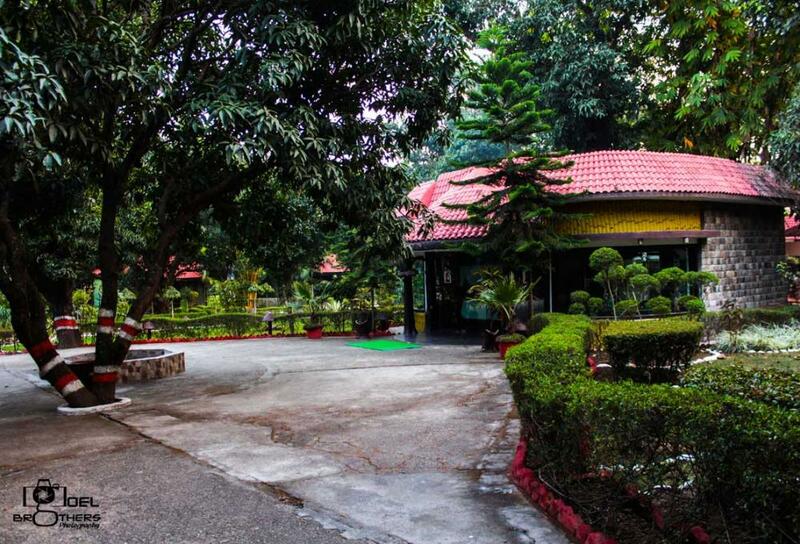 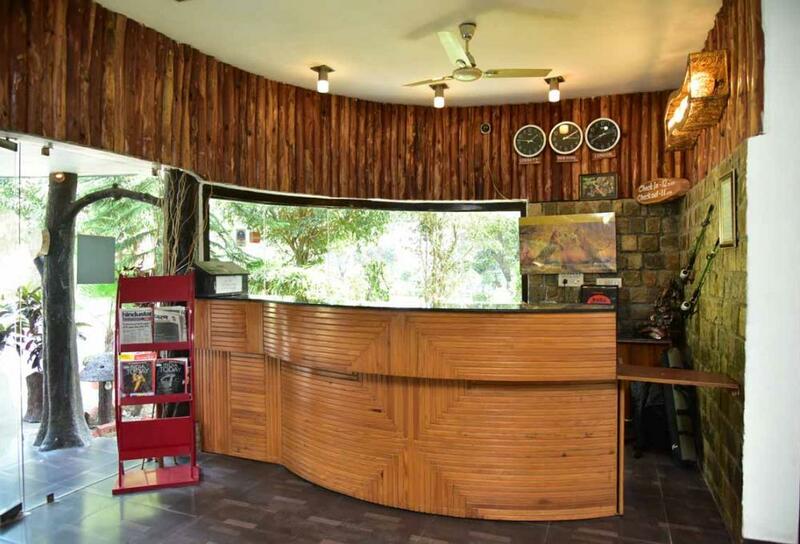 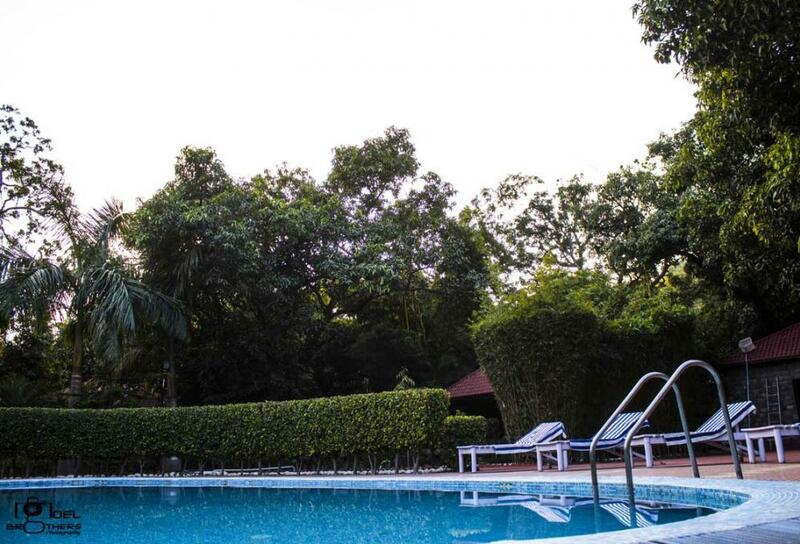 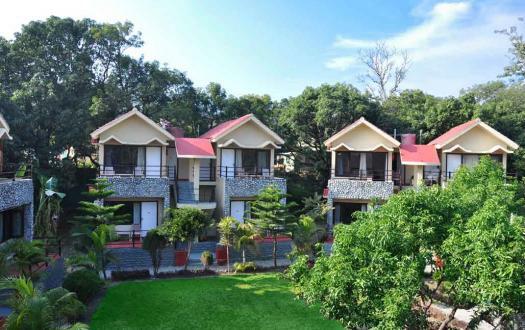 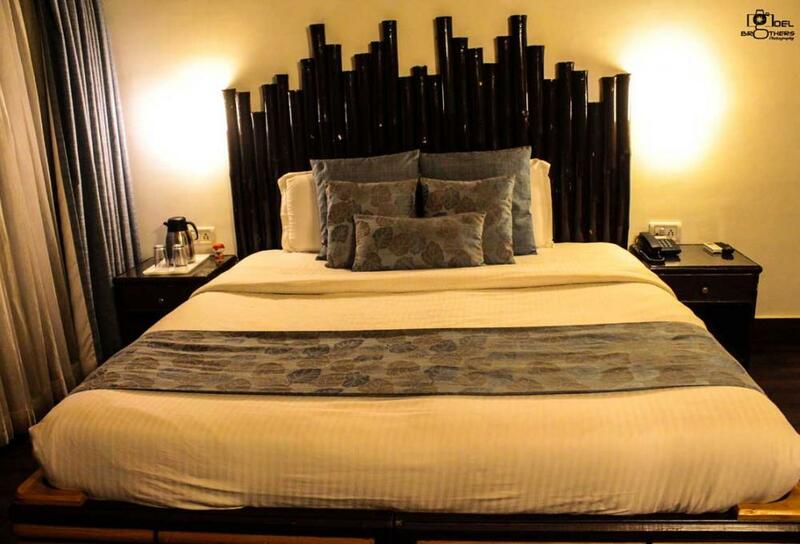 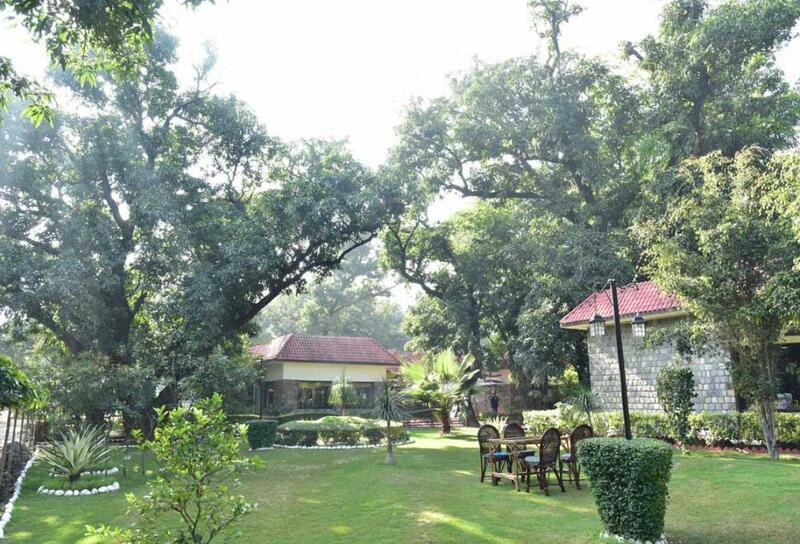 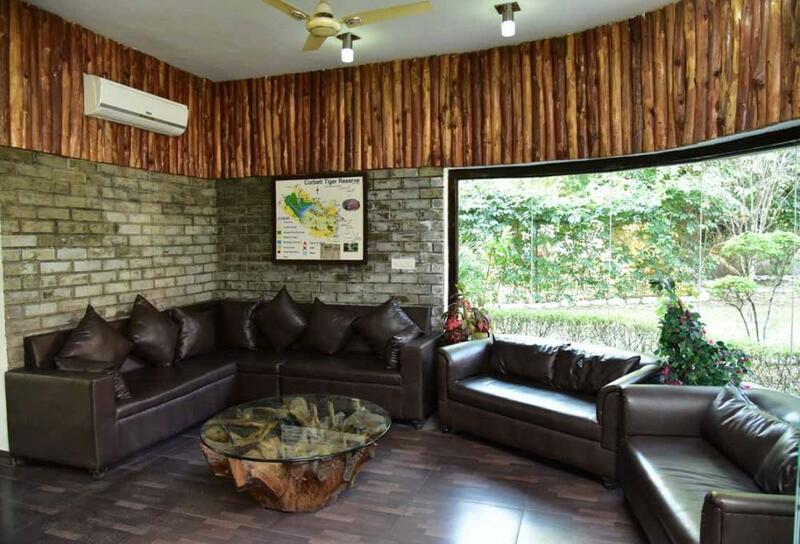 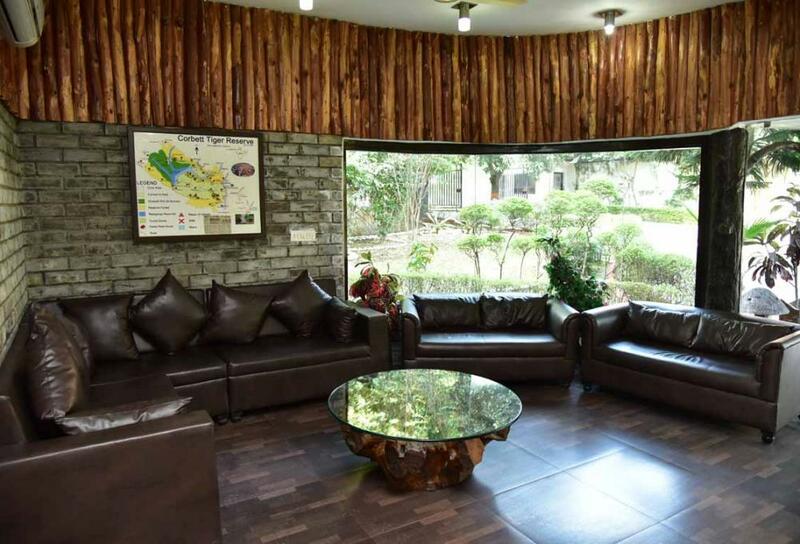 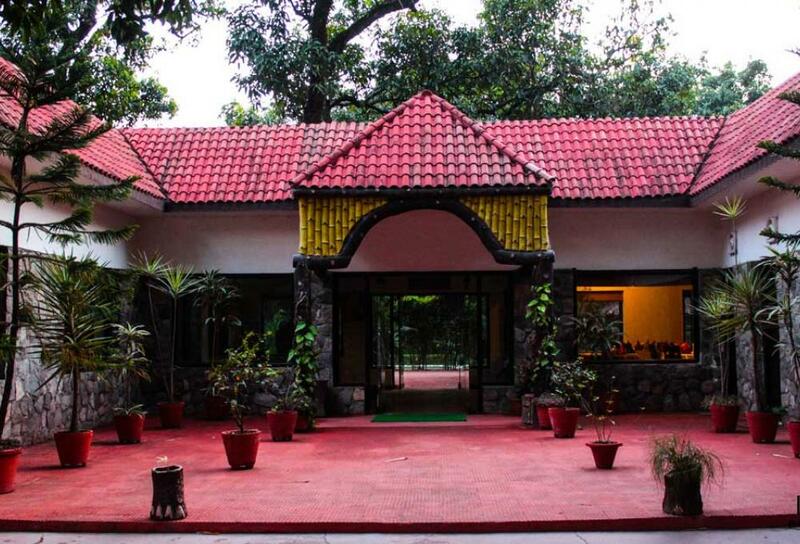 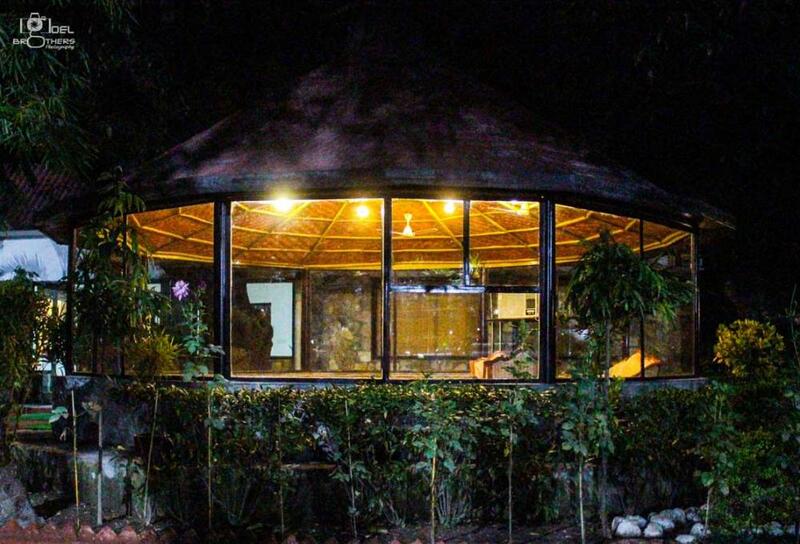 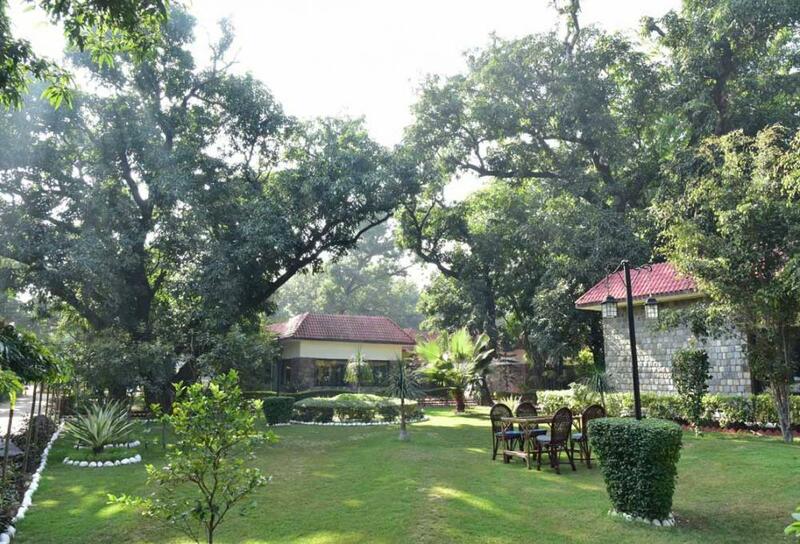 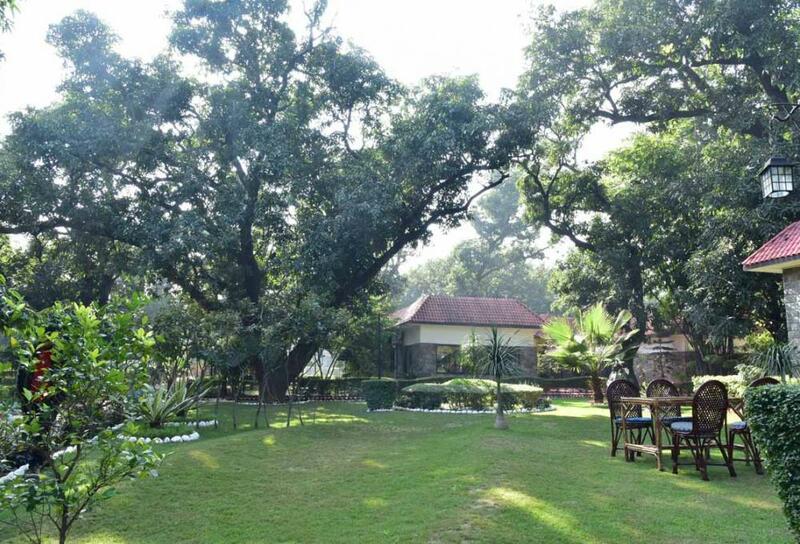 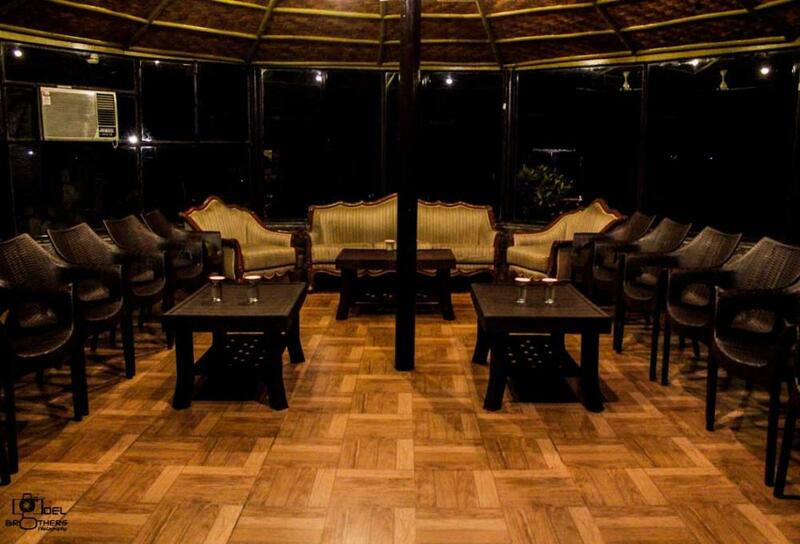 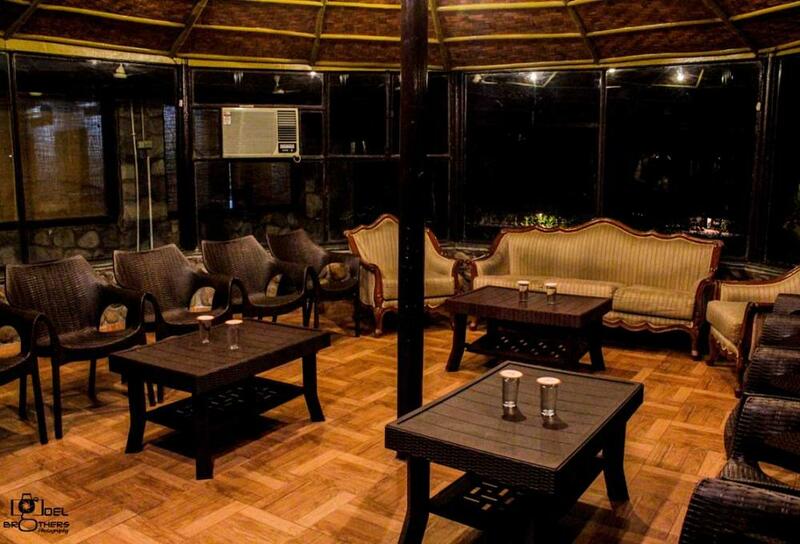 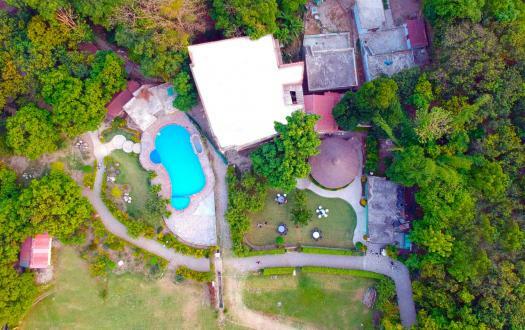 The rawness of this resort perfectly complements the raw Jim Corbett National Park that attaches you with the natural opulence leaving behind the hustling city lives. 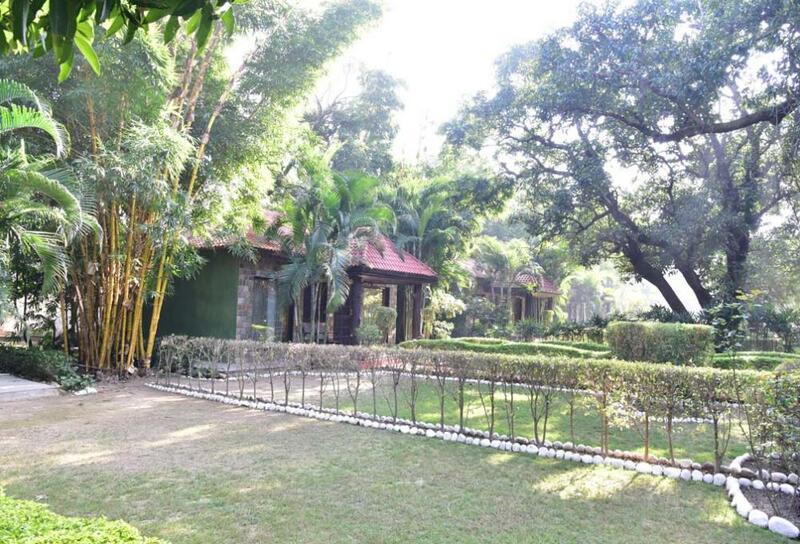 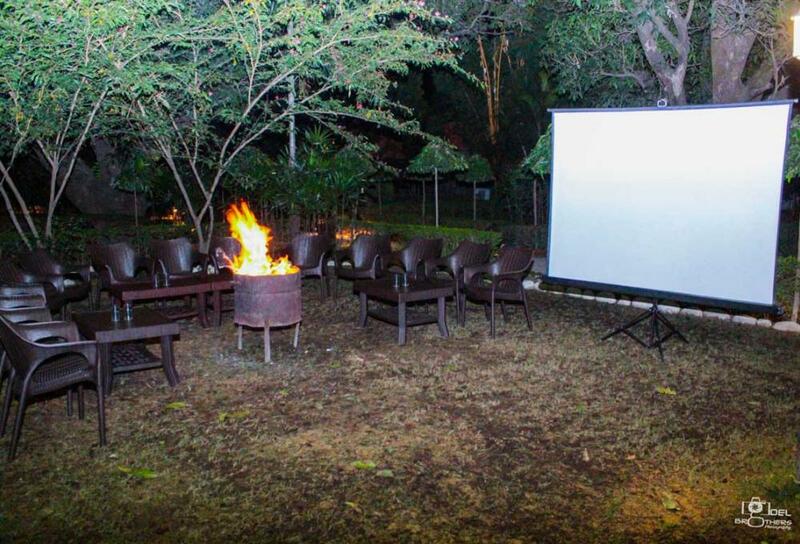 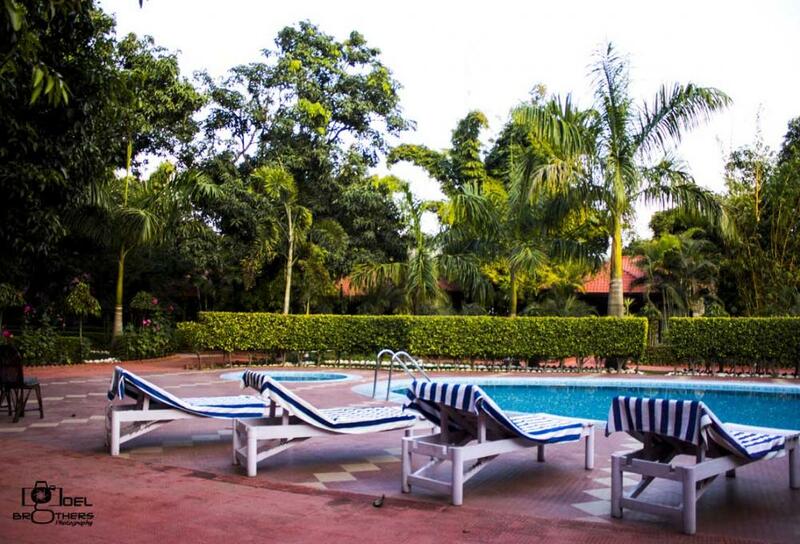 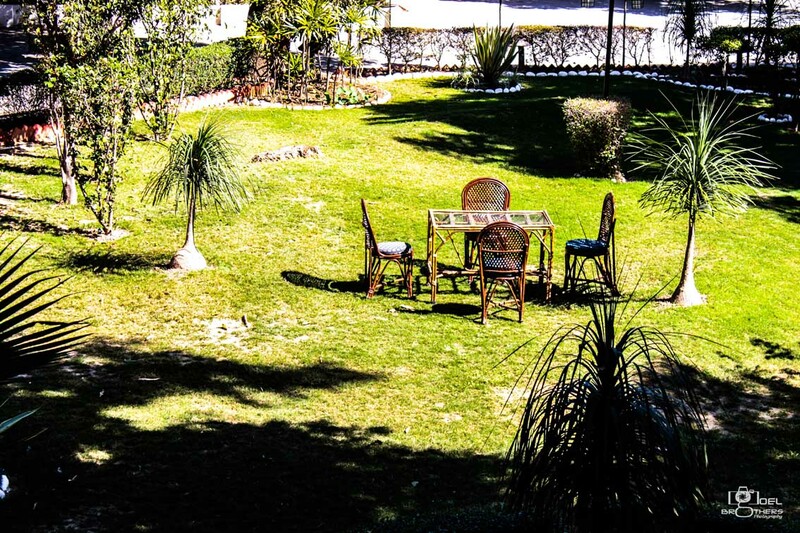 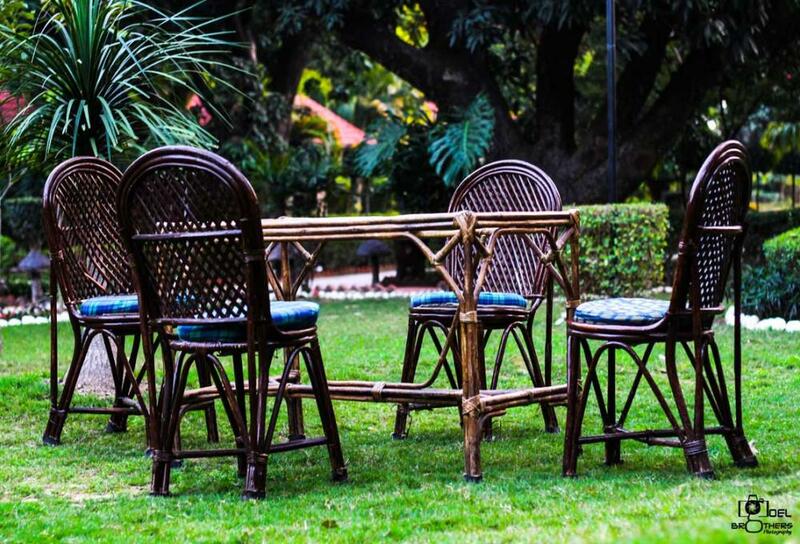 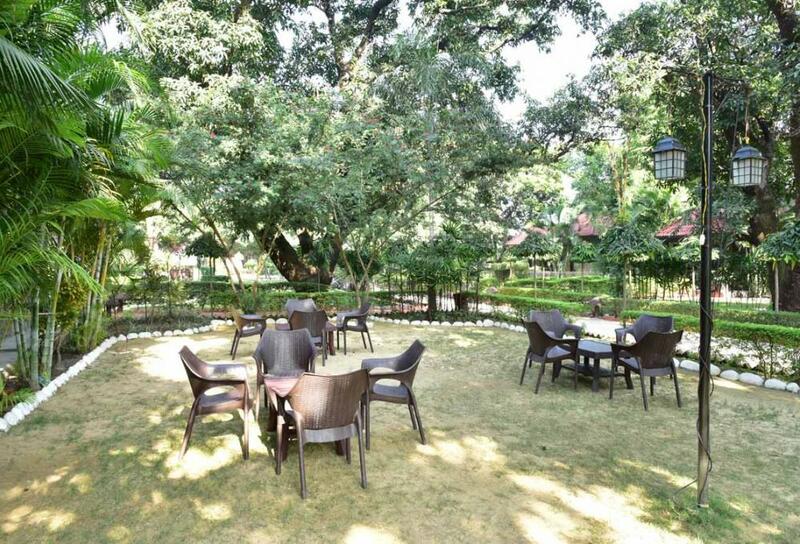 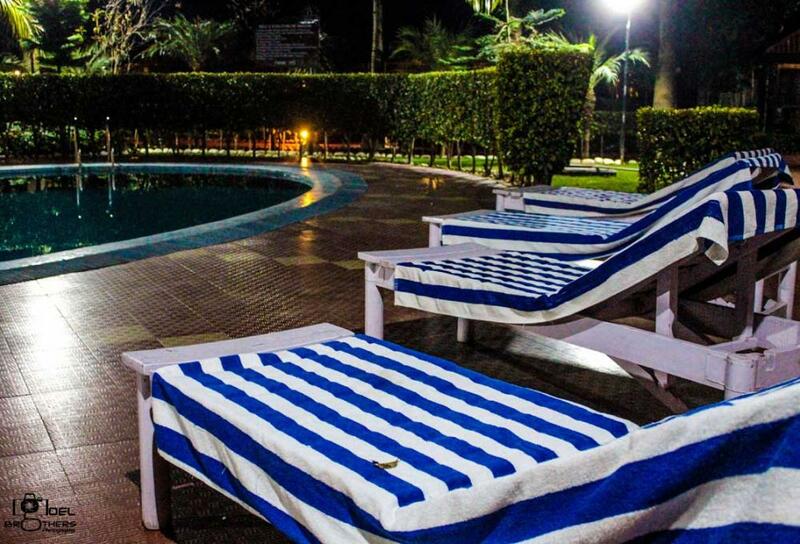 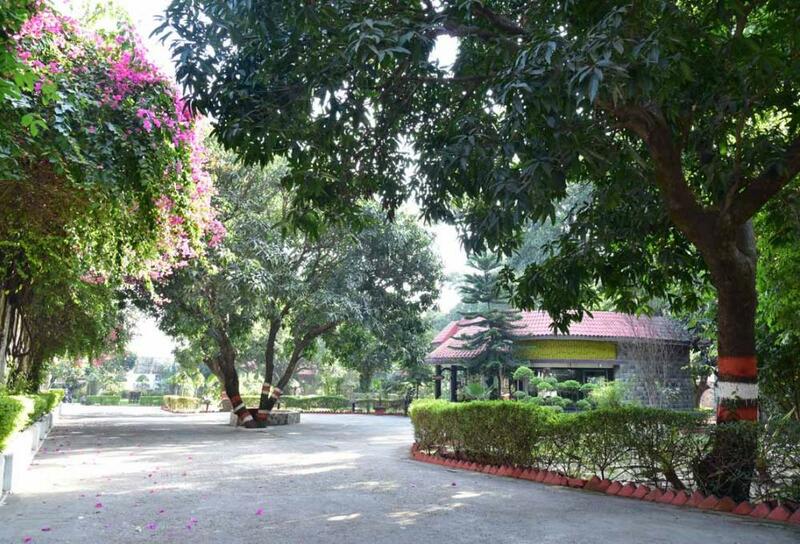 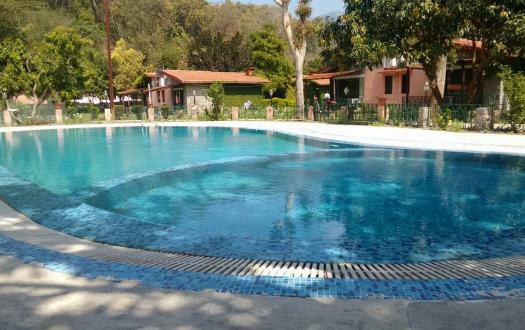 The ample green area and perfectly adorned gardens offer individual and common sitting areas for spending quality time with your family and friends. 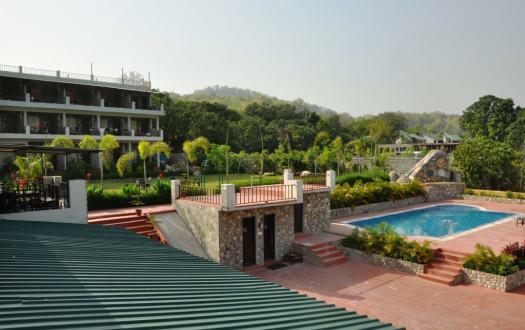 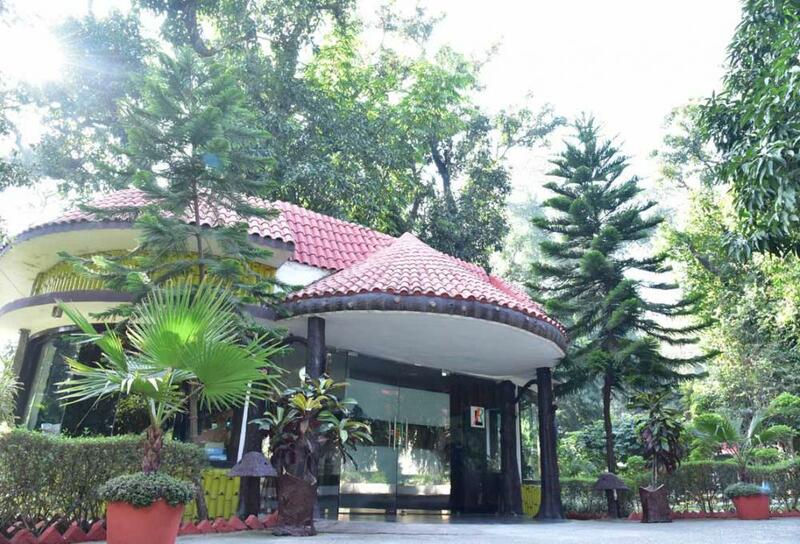 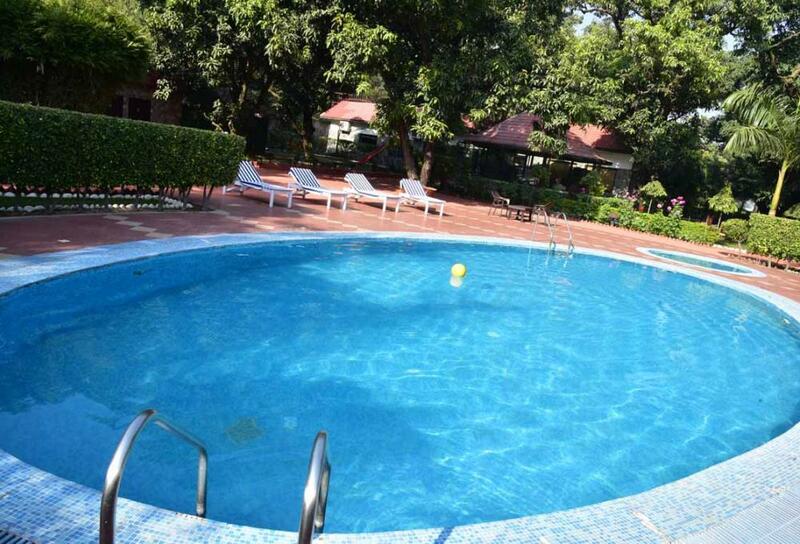 Just 2 hours drive away from Pantnagar Airport, Leel Resort is located in one the prime locations in Jim Corbett National Park. 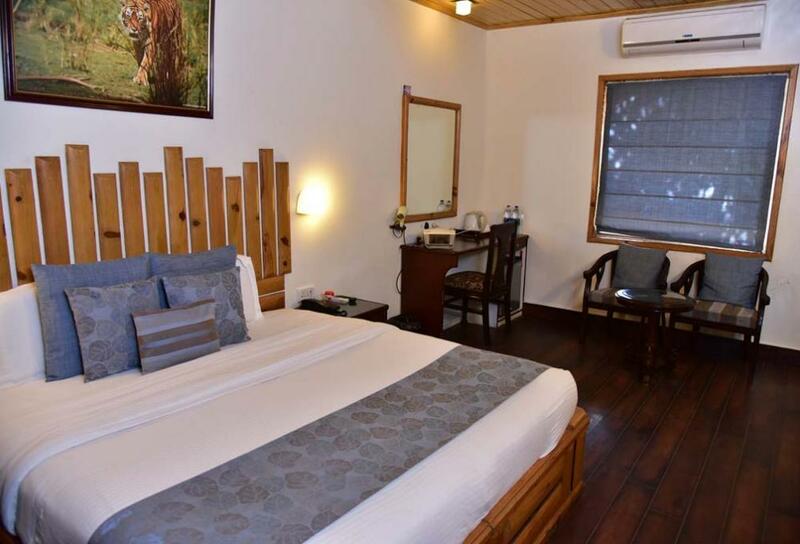 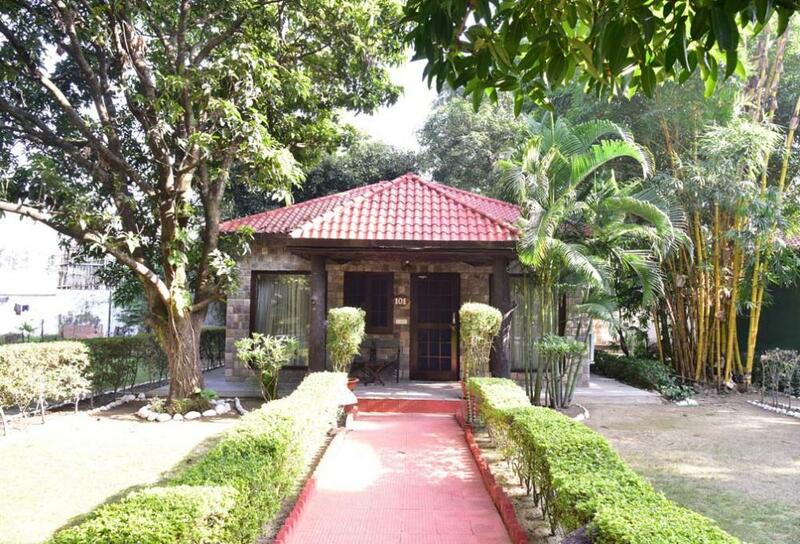 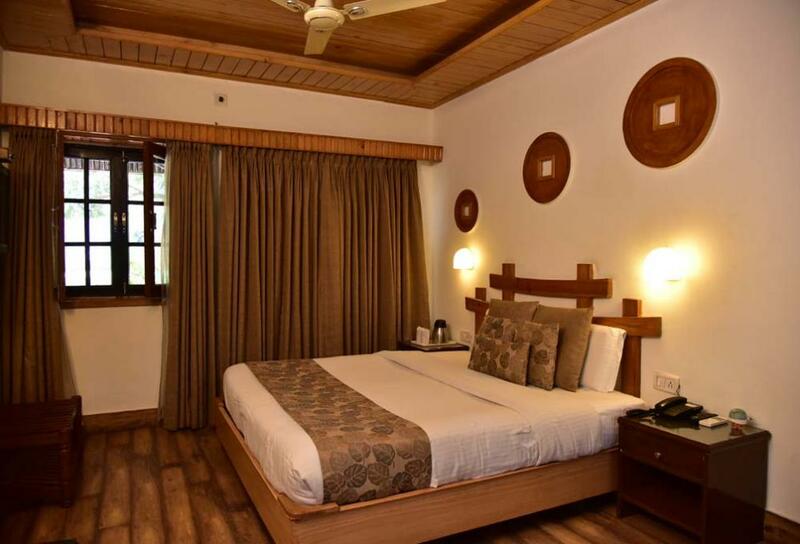 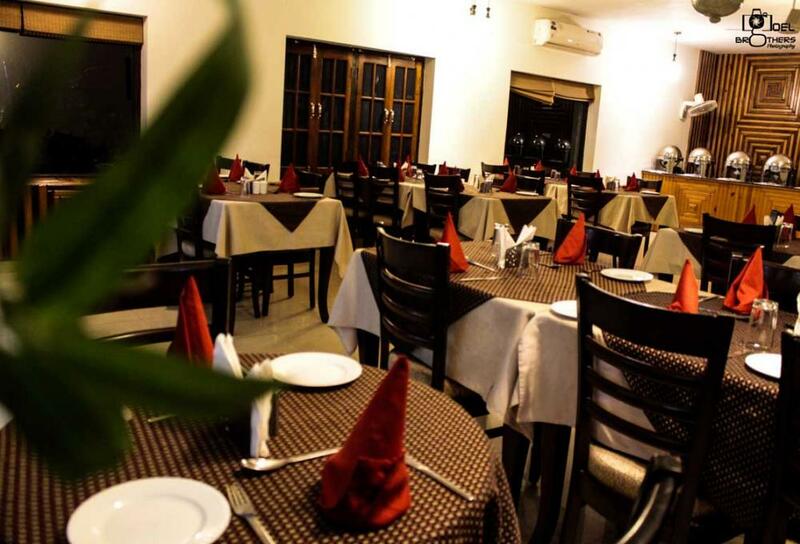 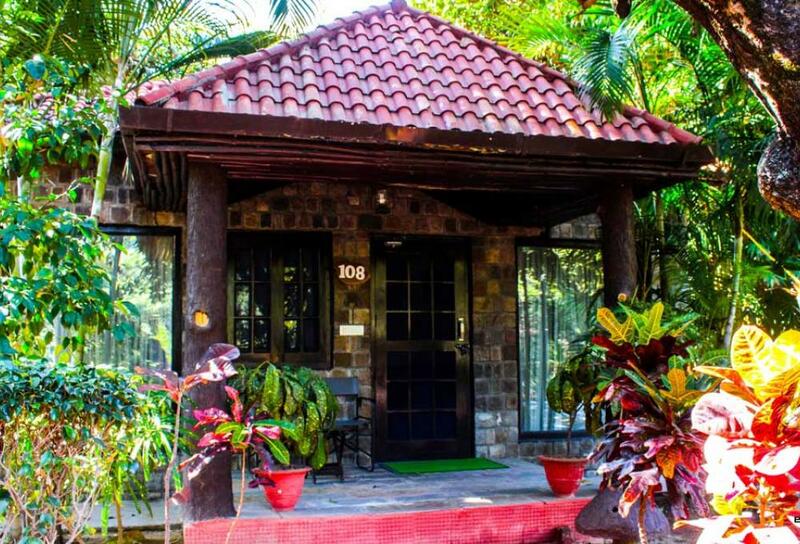 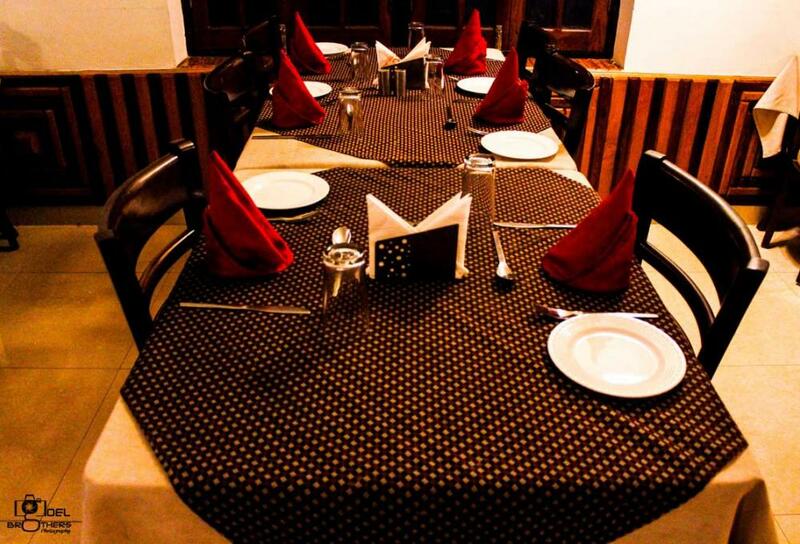 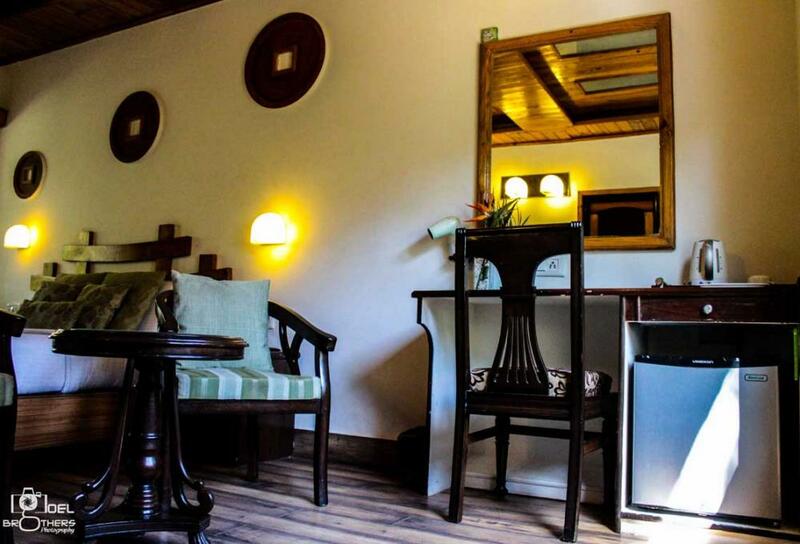 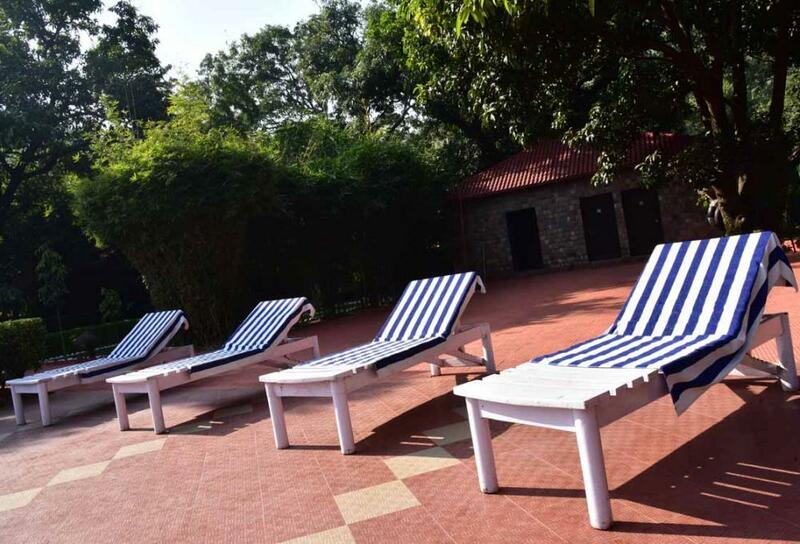 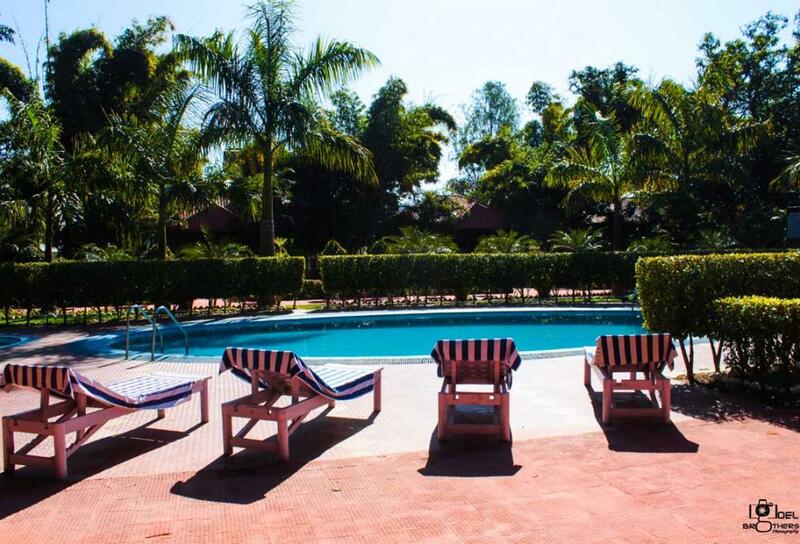 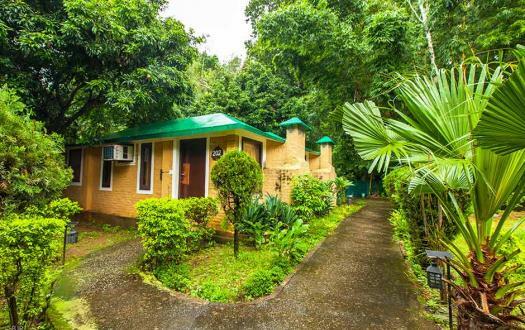 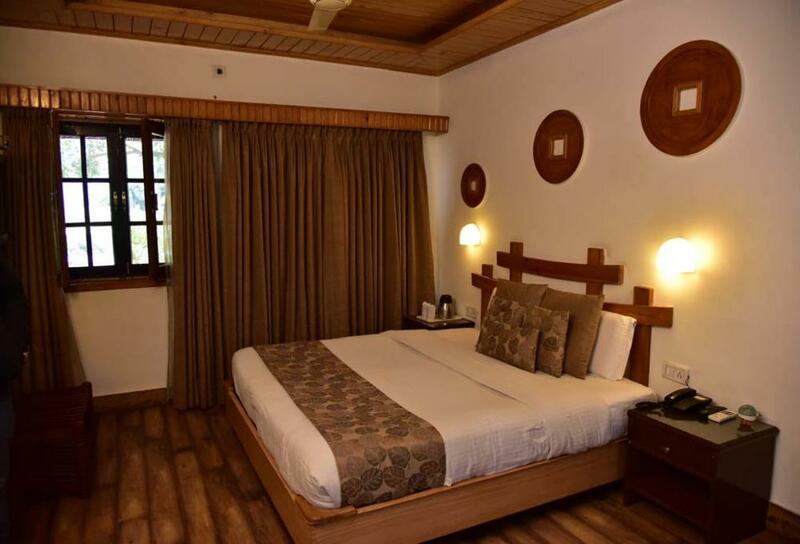 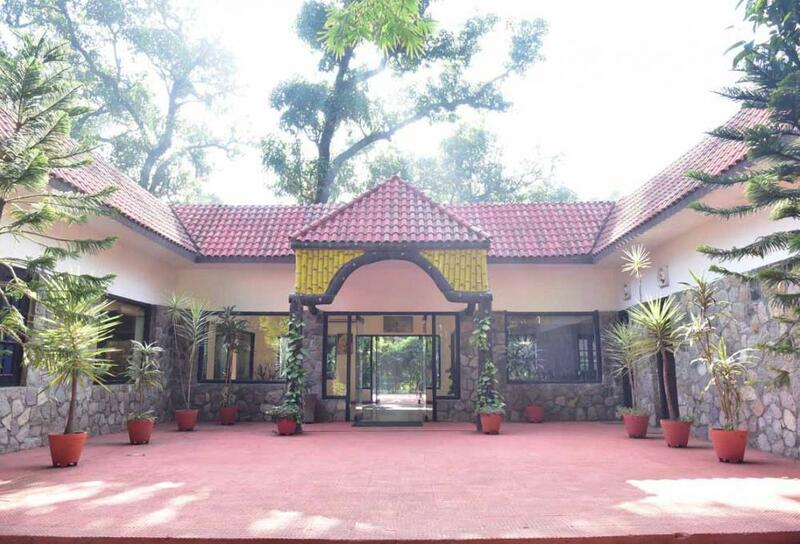 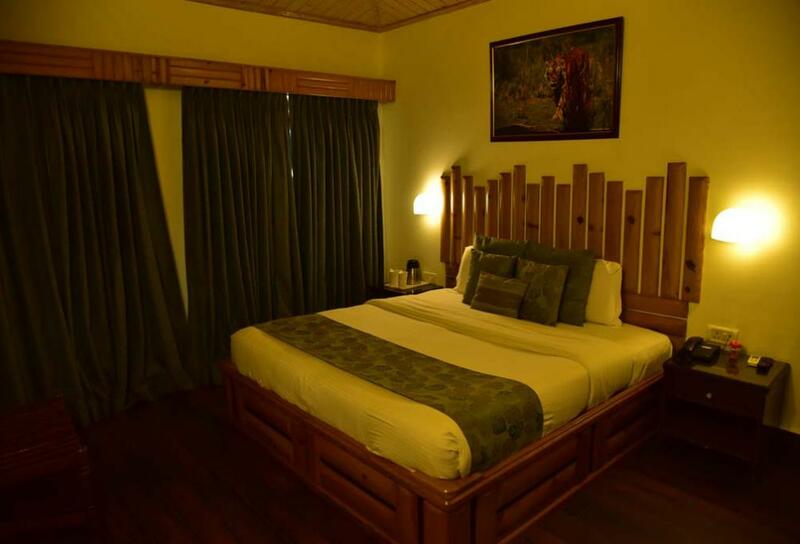 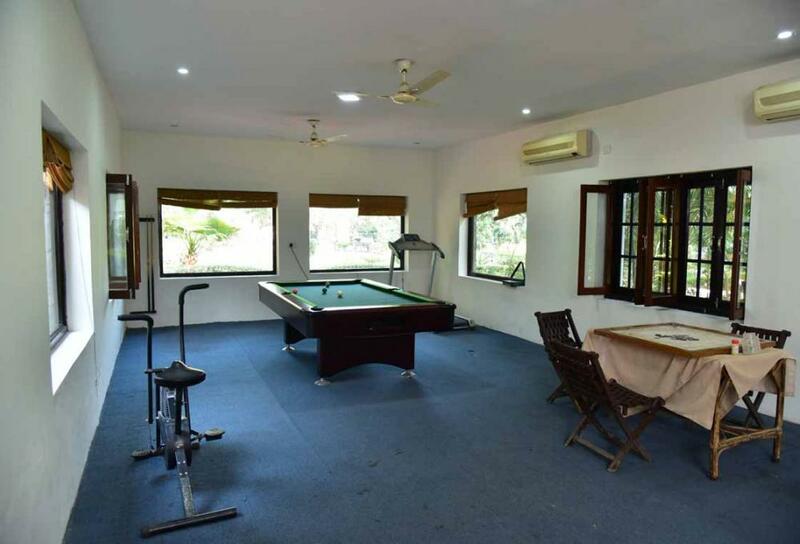 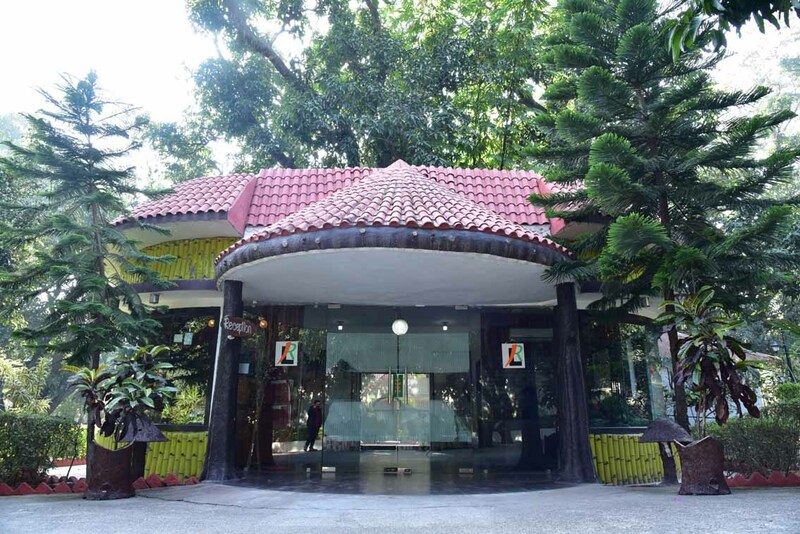 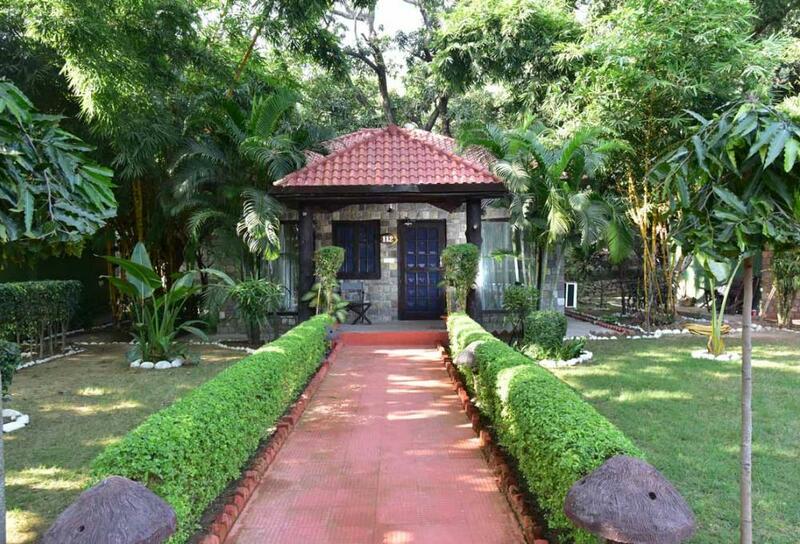 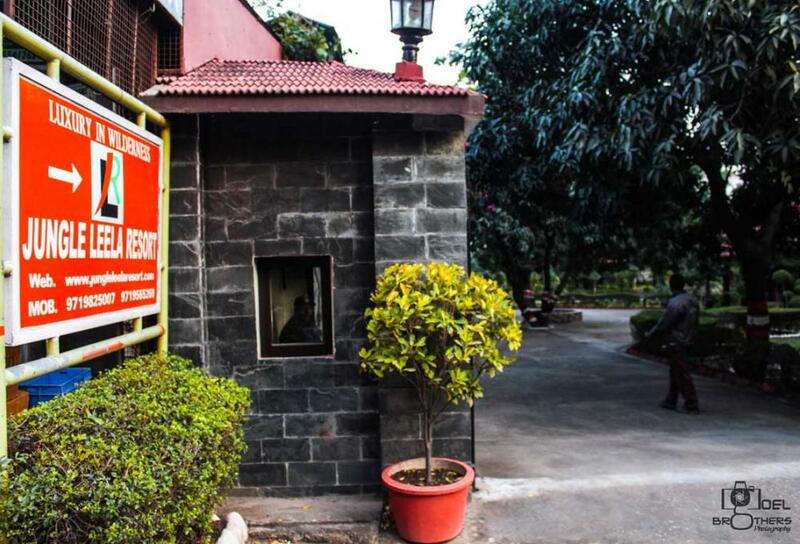 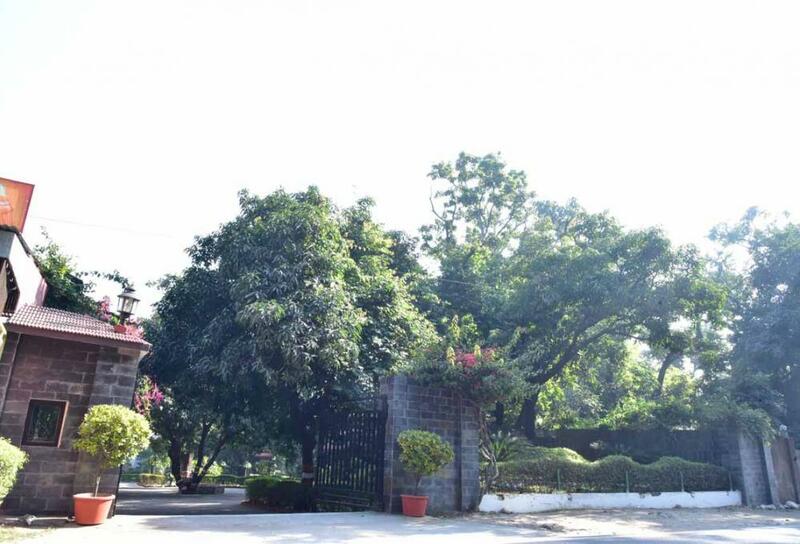 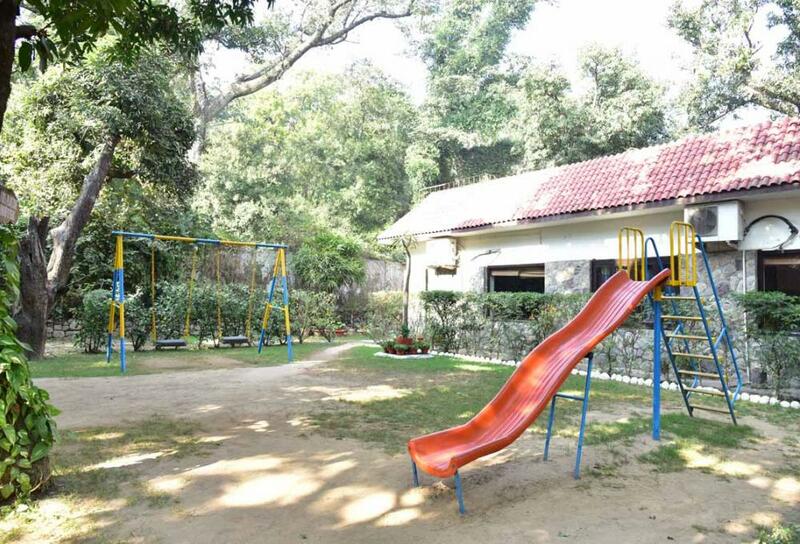 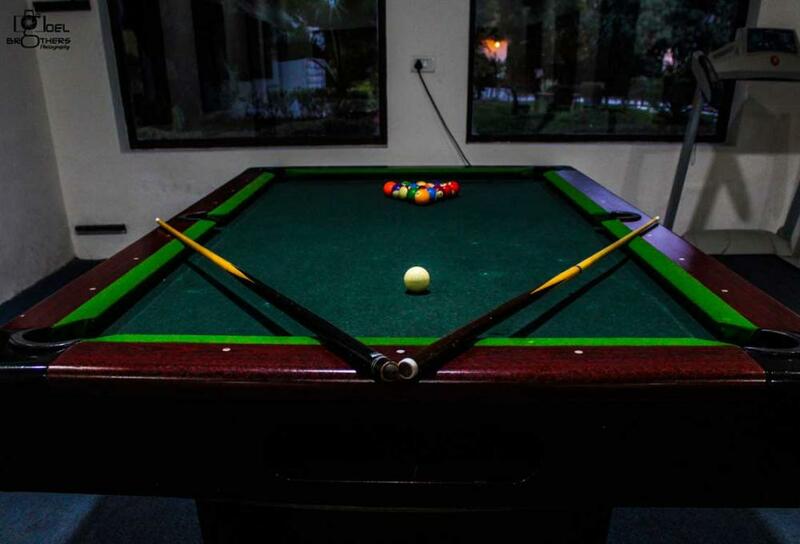 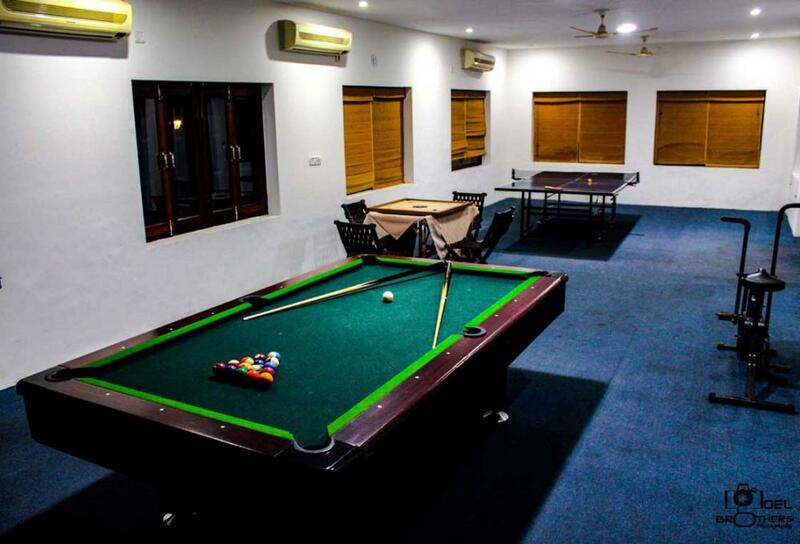 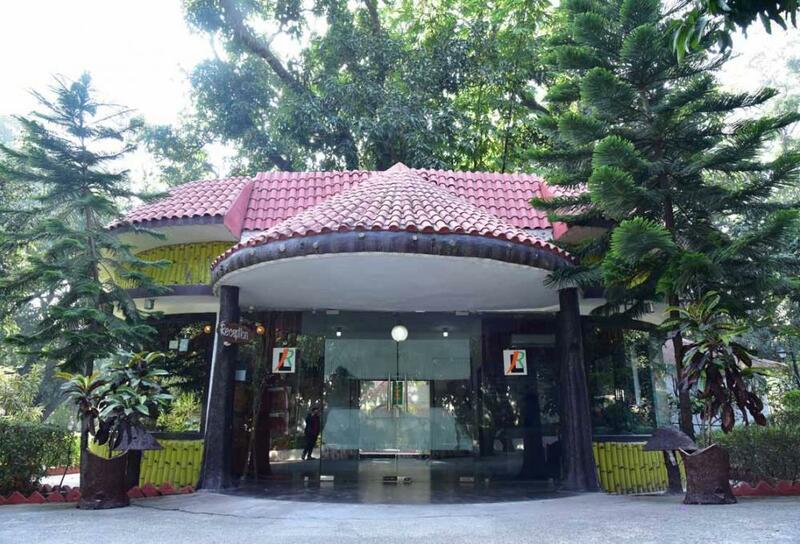 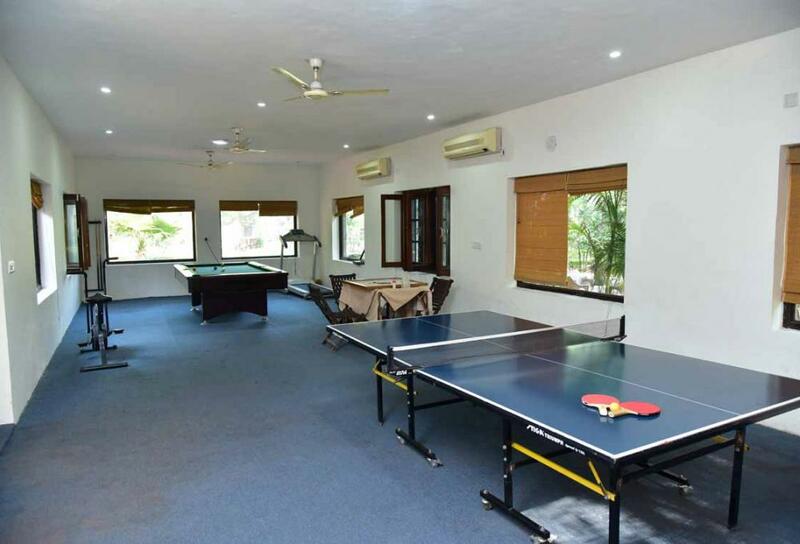 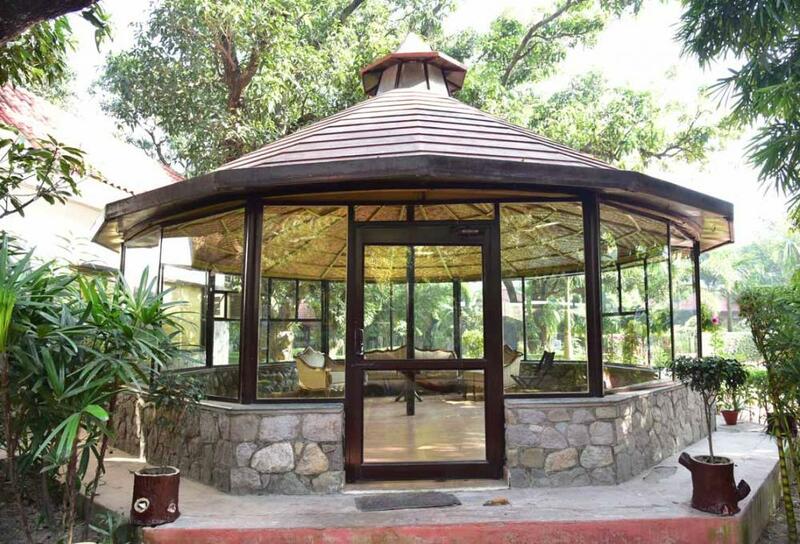 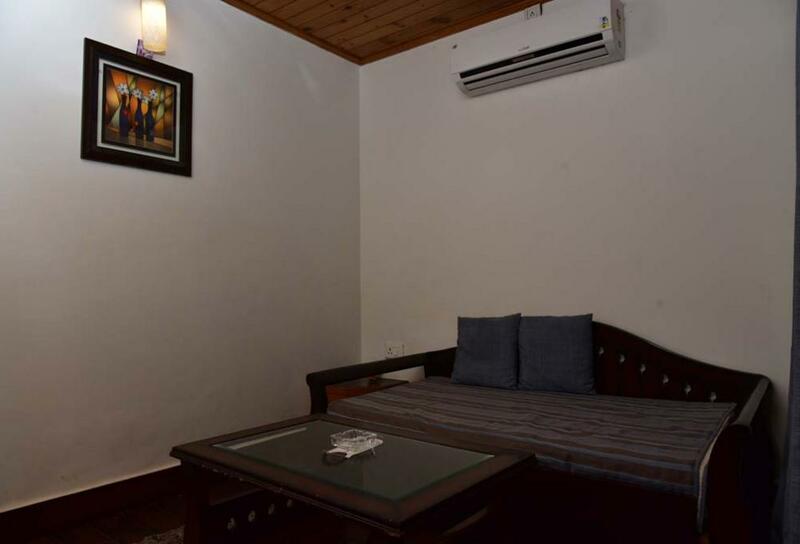 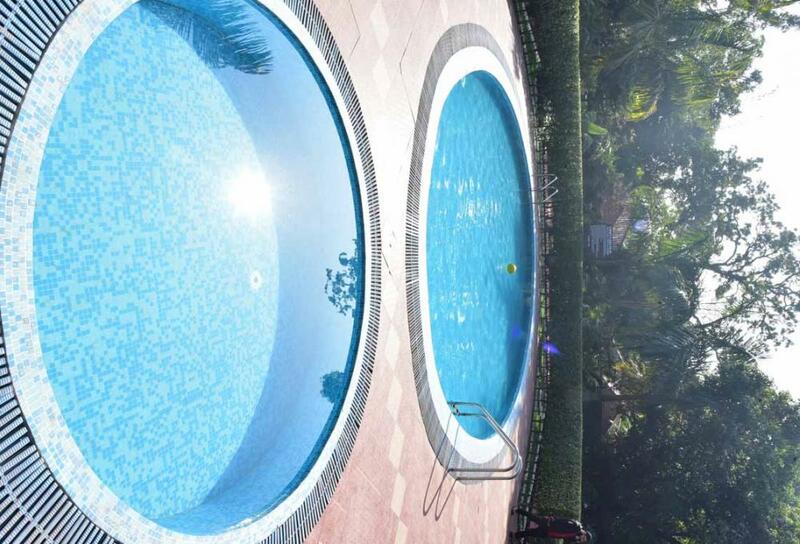 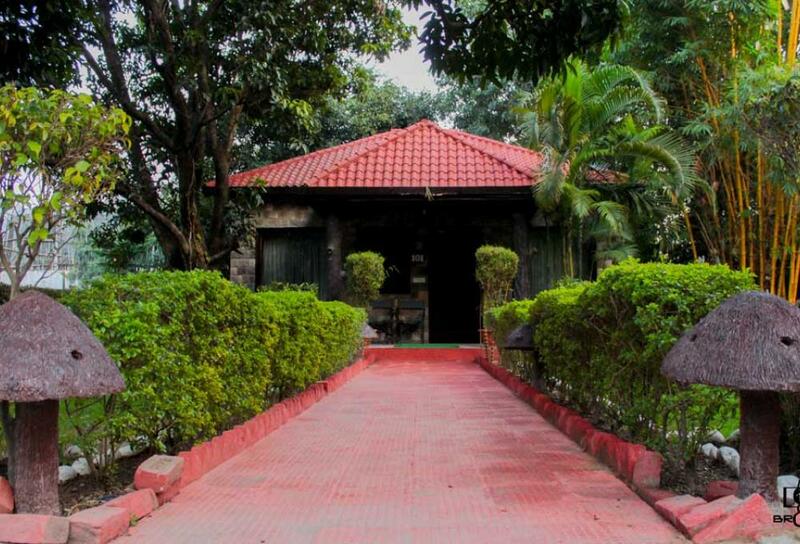 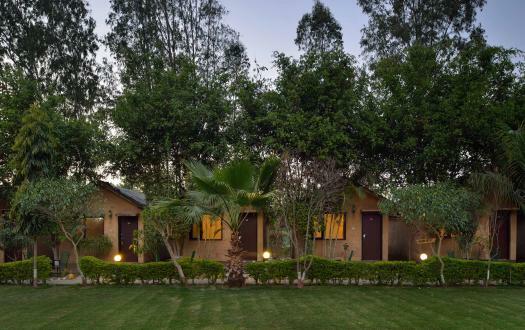 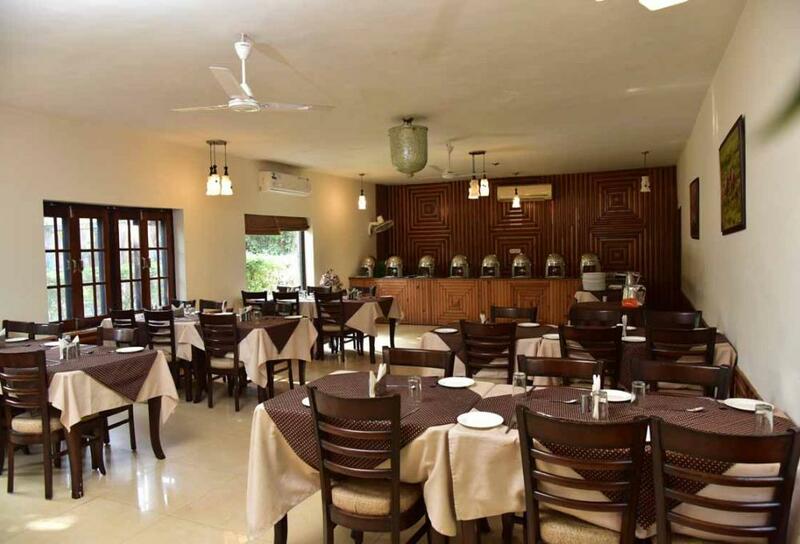 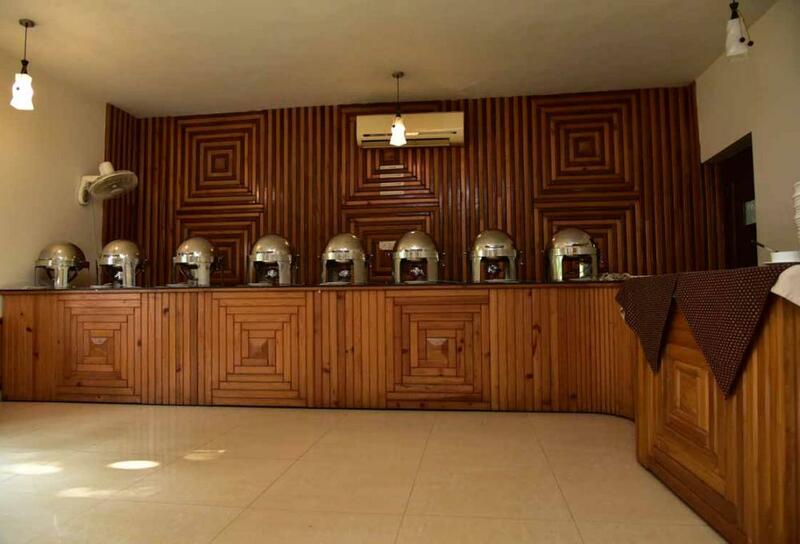 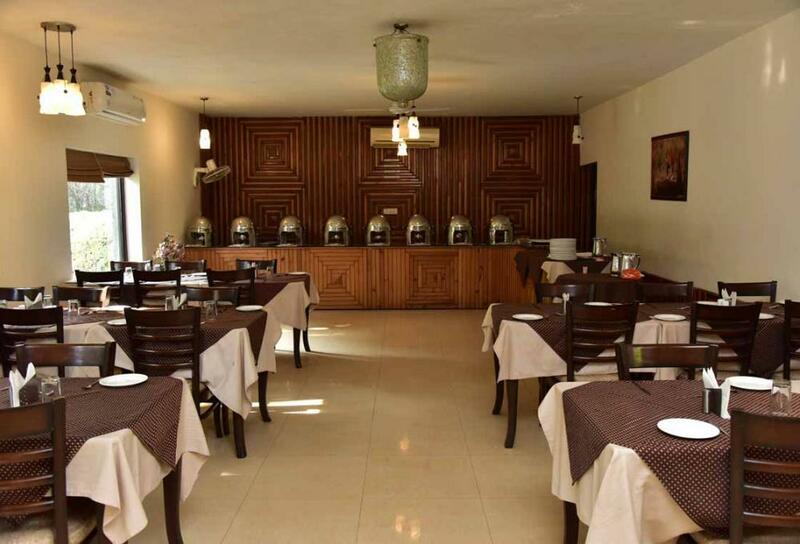 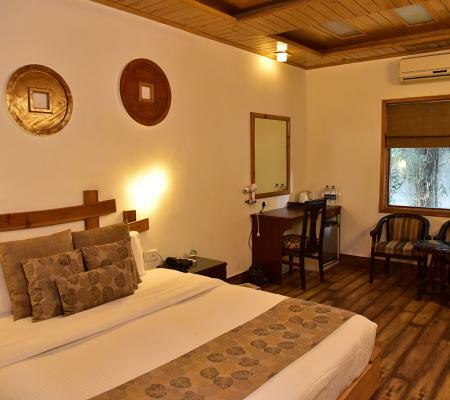 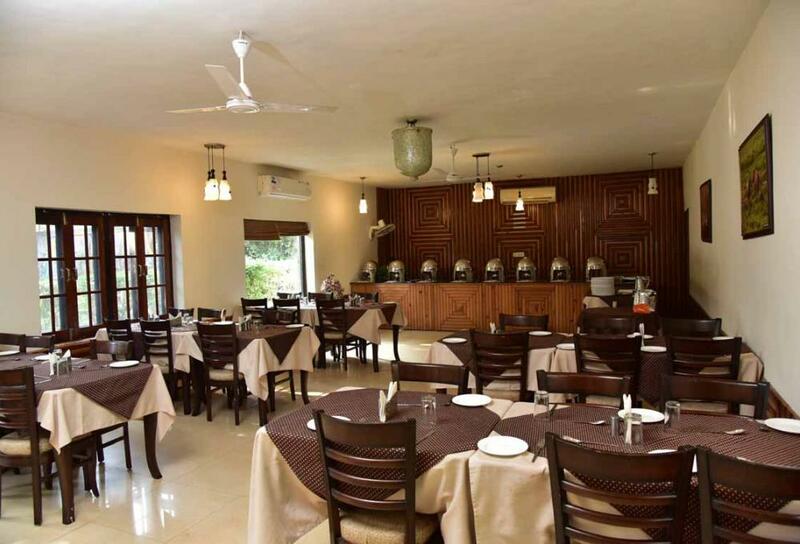 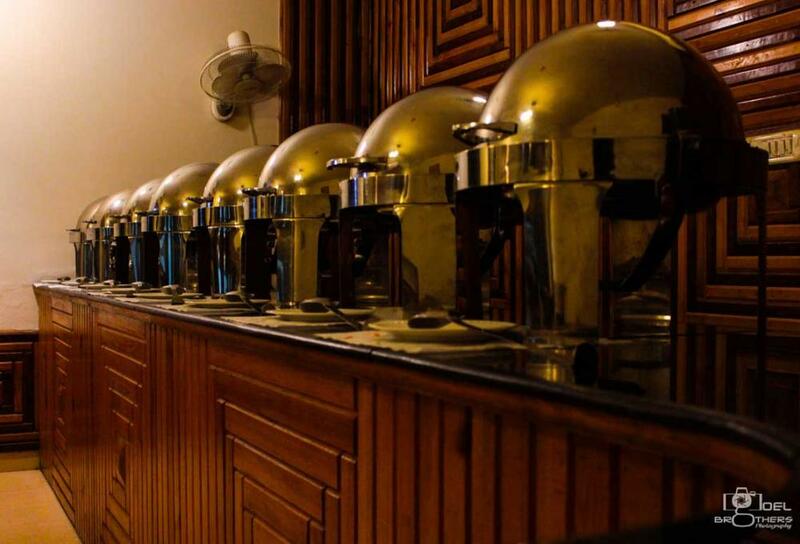 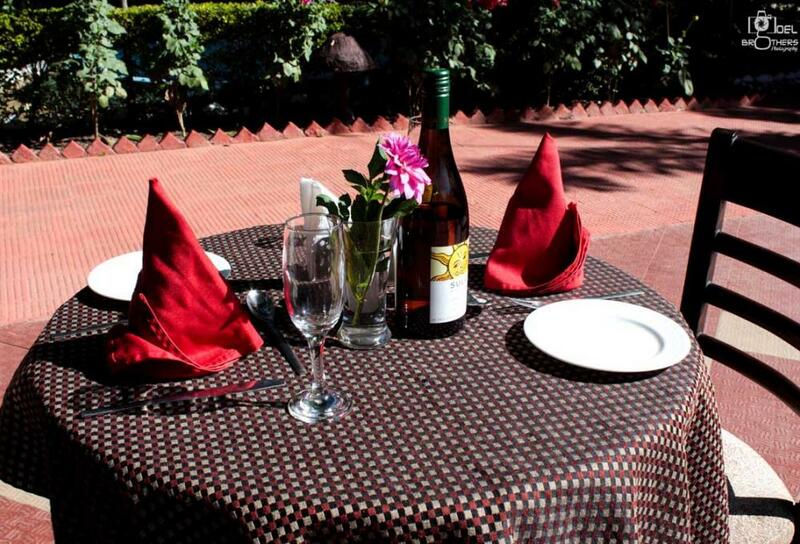 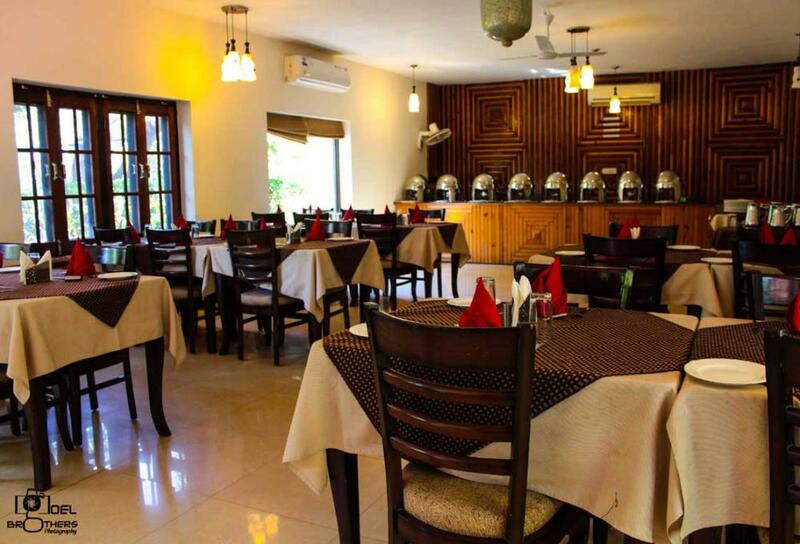 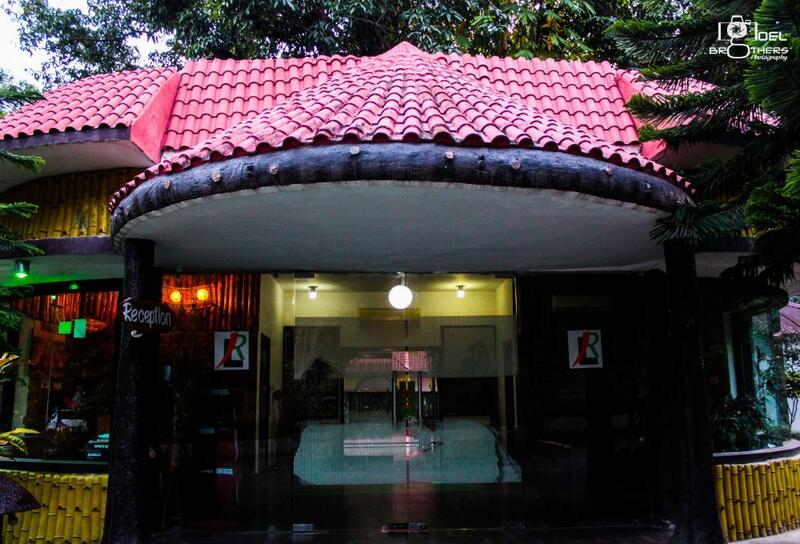 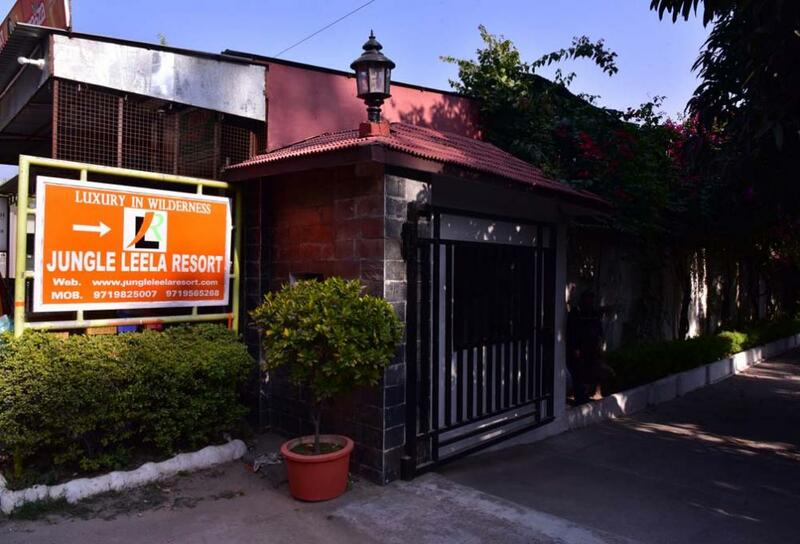 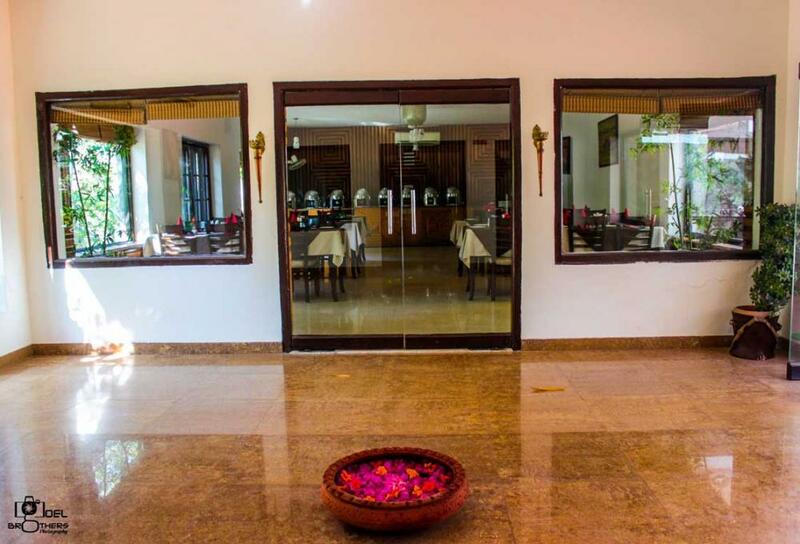 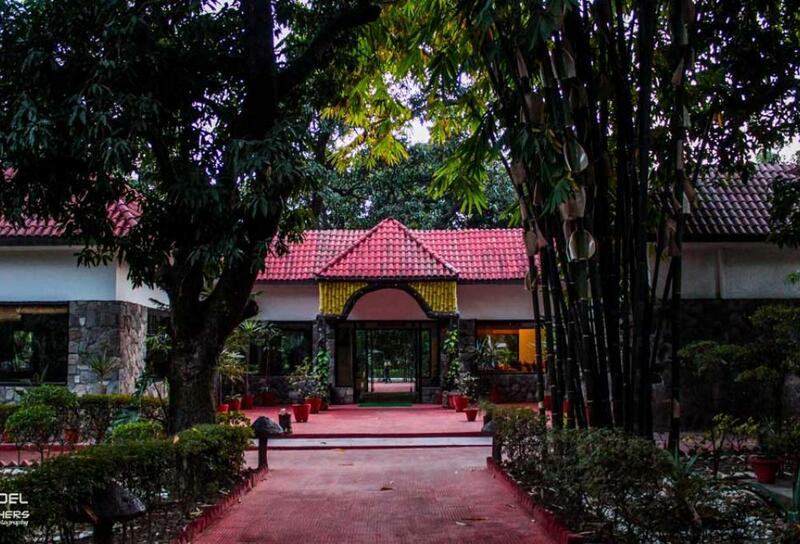 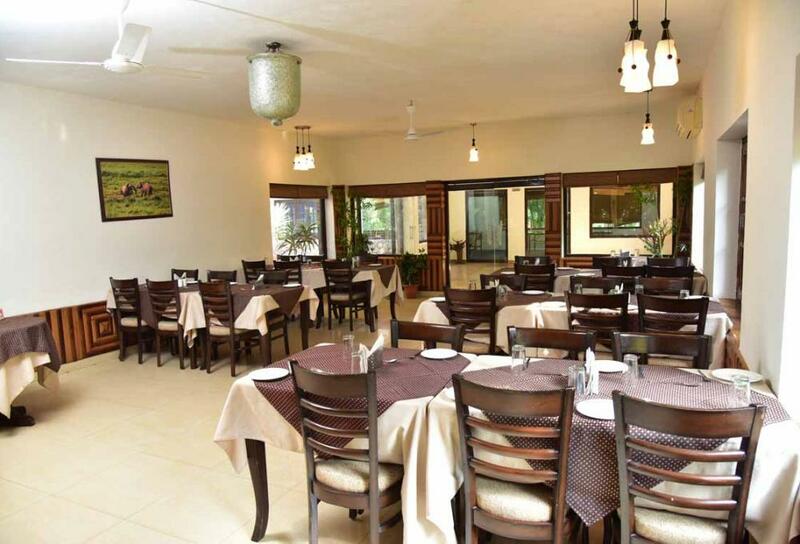 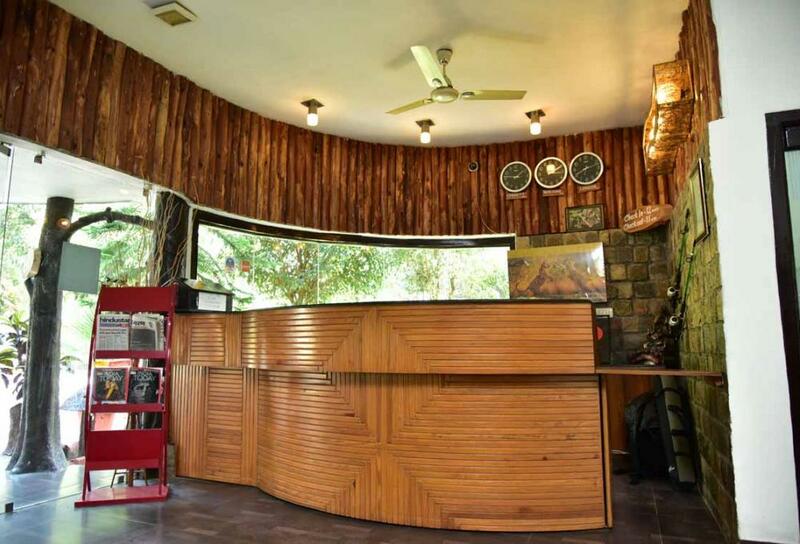 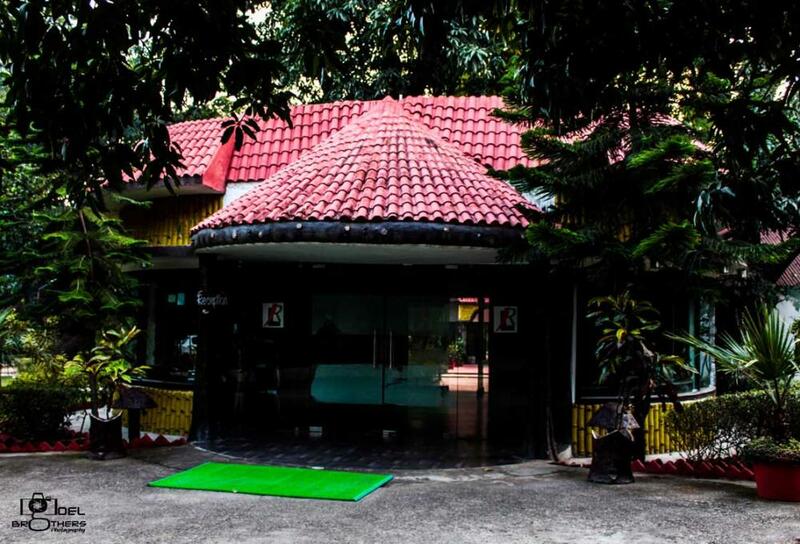 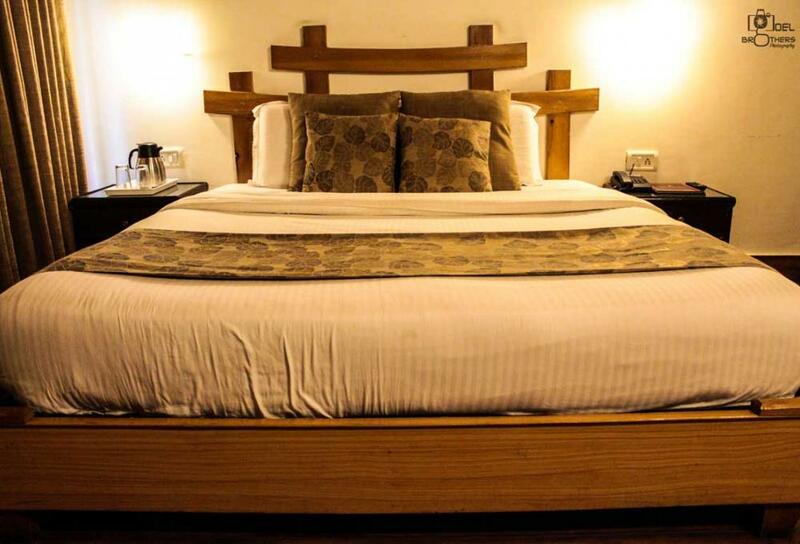 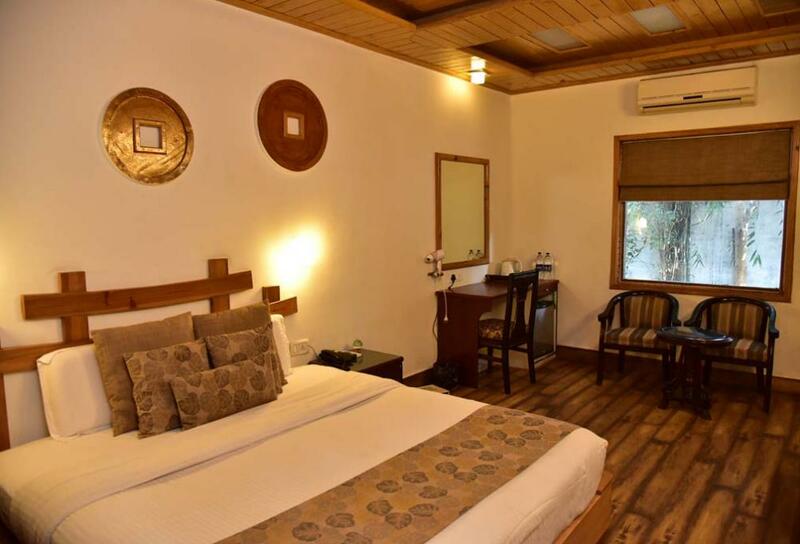 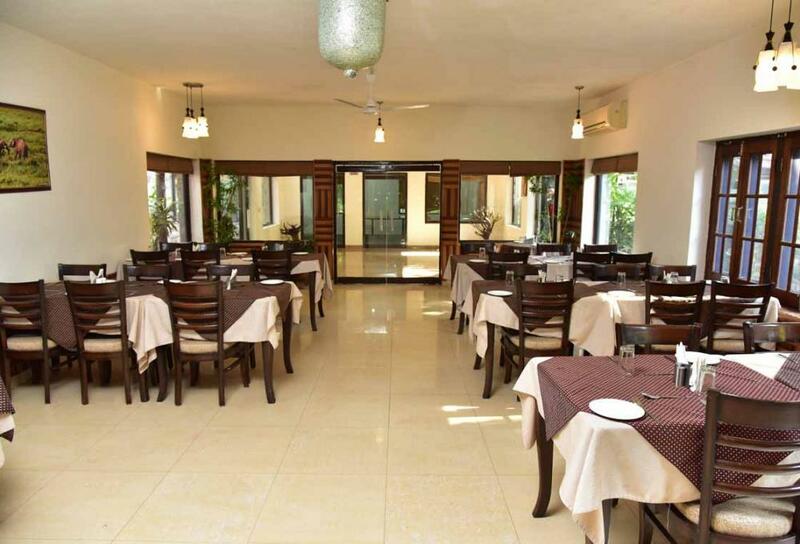 Wooden flooring and mud-tiled roof lend the cottages a natural ambiance that is complemented with modern amenities like AC/heater, LCD TV, mini bar, tea/coffee maker, STD/ISD telephone, Wi-Fi and safe. 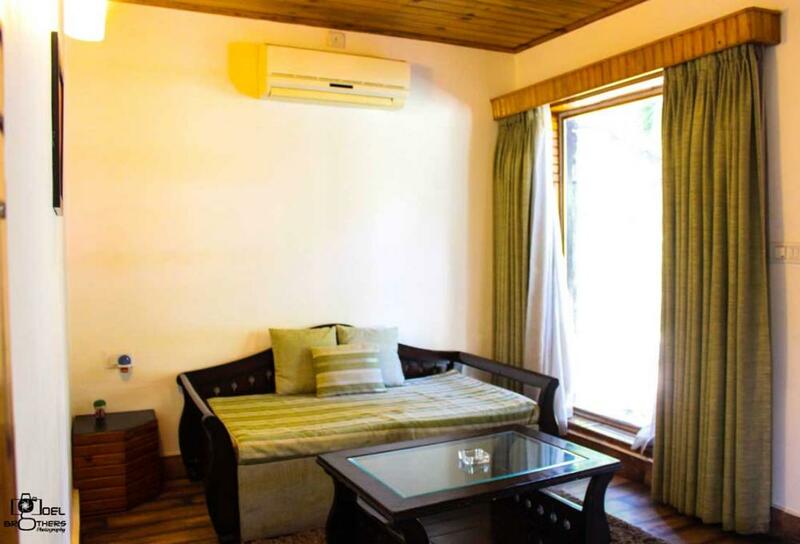 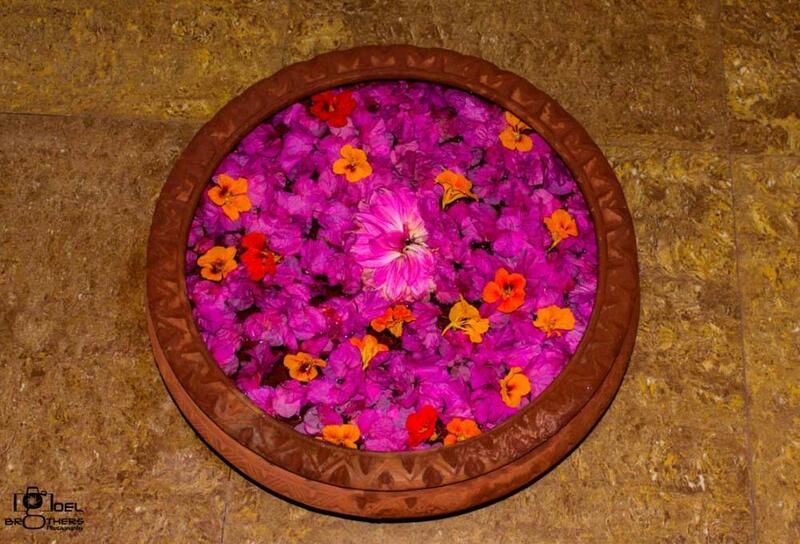 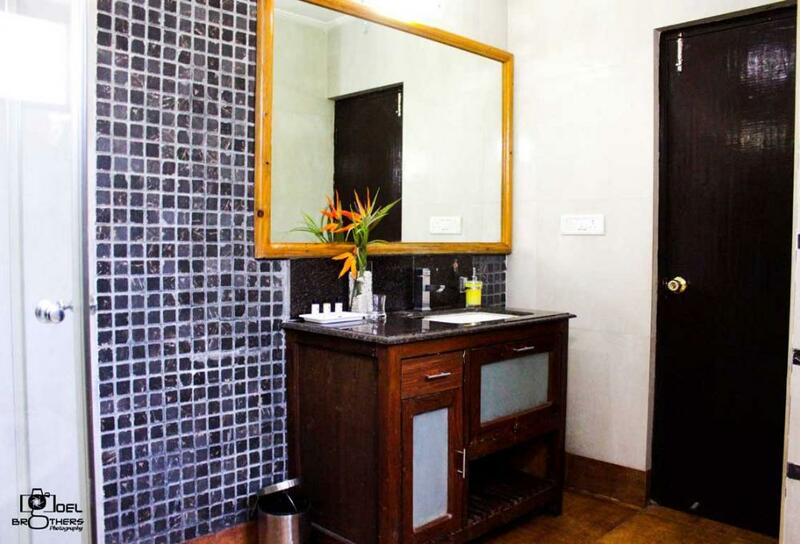 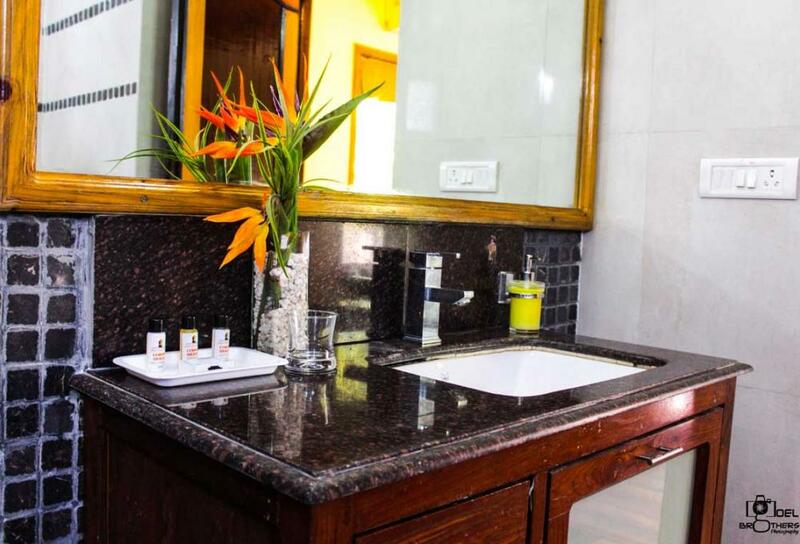 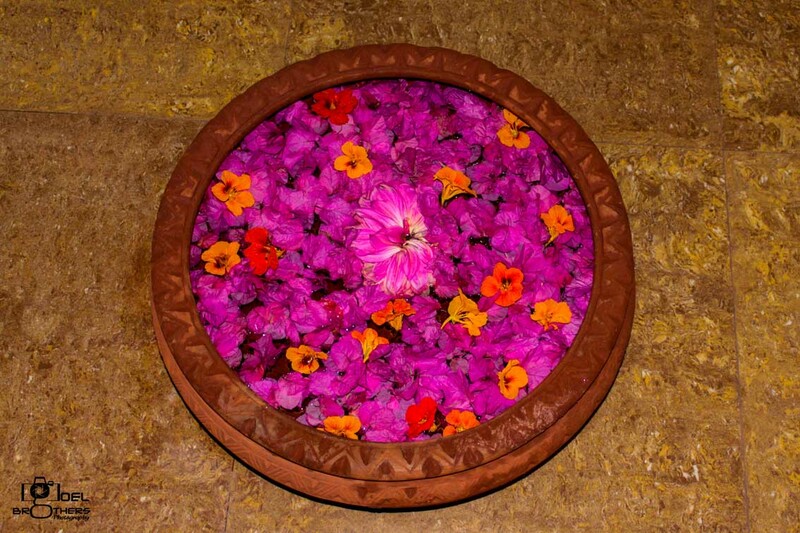 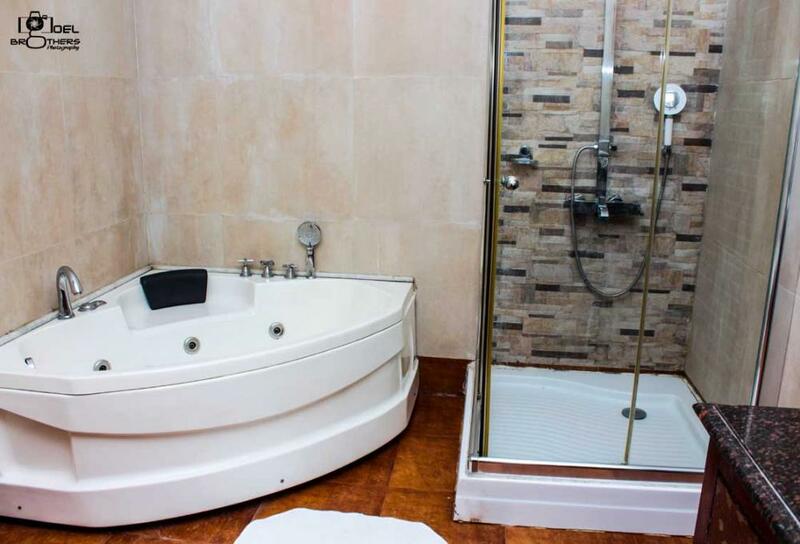 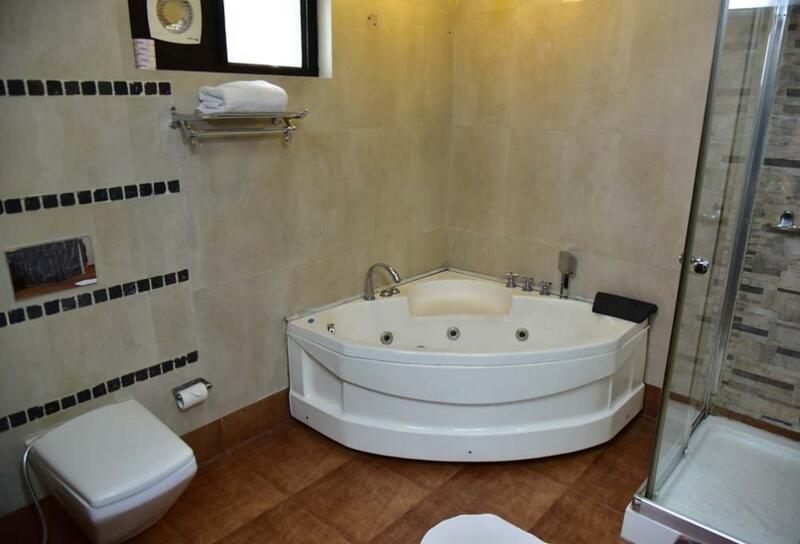 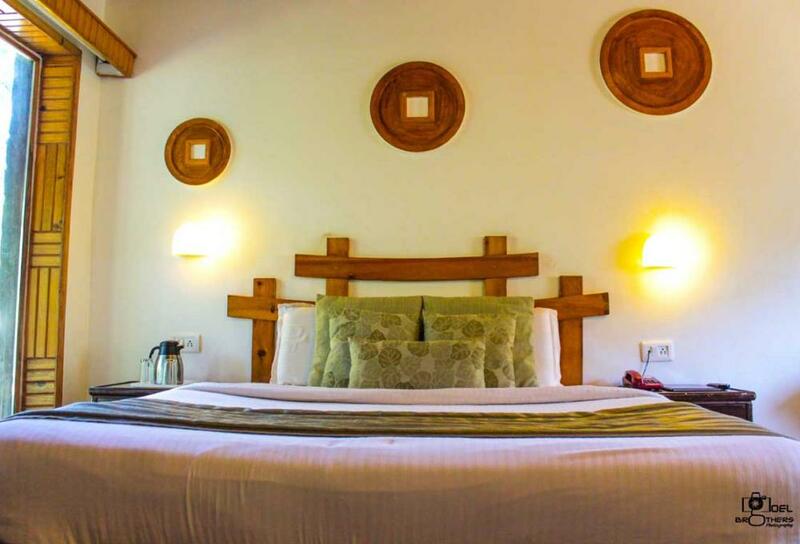 The cottages also feature a large bathroom with running hot and cold water, rain shower, Jacuzzi, bath linen, herbal toiletries and hairdryer for a comfortable yet luxurious stay.